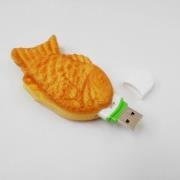 My Dad and sister loved the sushi and takoyaki USB drives I got for them. Fake Food Japan was extremely friendly, accommodating and helpful while processing my order and getting it sent overseas. In all my time living in Japan, I haven't found any souvenirs quite as goofy and unique, but with actual utility. I decided to order from Fake Food Japan in June. I found the website and sent an email about having a customized item made. When I received the item, which arrived right on schedule, I was thrilled with how it turned out! 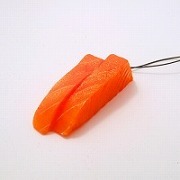 As I'm an artist, I needed a model for a sculpture that I'm producing and Fake Food Japan was there to help. 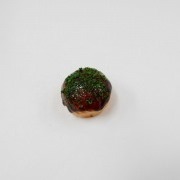 Anyone who needs fake food should considering buying from FFJ! I like to give novelty gifts that are cute, yet meaningful. 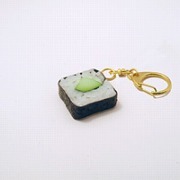 I knew that my daughter (who loves sushi) would appreciate the "fake sushi" key chain. It's a sweet conversation piece that she carries everyday. 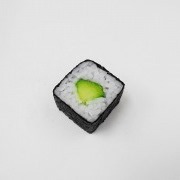 I was amazed by the realistic look and excellent quality of the "fake sushi". 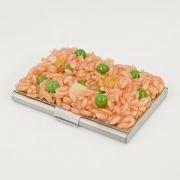 Anyone who needs food replicas for business or fun should purchase from FFJ. In addition, their customer service is outstanding. I will definitely purchase from them again. 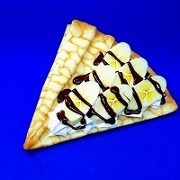 I stumbled upon a link to Fake Food Japan on a blog. I decided to place an order because the items seemed to be of high quality. I was delighted when I received my order as everything was so detailed and lifelike! 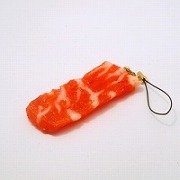 Magnet collectors looking for something unusual should buy from Fake Food Japan. 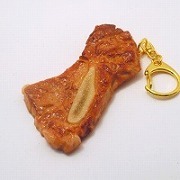 I found out about Fake Food Japan from TheJapanChannel.com on YouTube and saw how realistic their key chains and phone charms were. 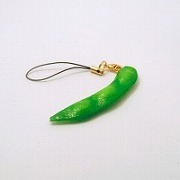 I bought a phone charm as a gift for my friend. 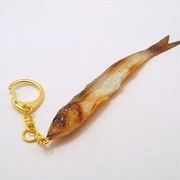 She was surprised and excited at getting such an unusual phone charm. 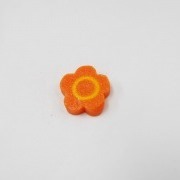 Anyone looking for a small gift for a person that likes nerdy and weird stuff or is hard to find a unique gift for should consider buying from Fake Food Japan. Fake Food Japan has been one of the few online stores that I've bought from that was an experience in itself. The interesting attention to detail in the packaging of my order along with the extremely friendly and occasional updates I received before my order was shipped made buying from Fake Food Japan a truly pleasurable experience. 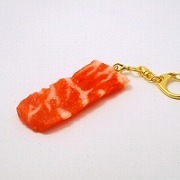 When I first saw my key chain from Fake Food Japan, I was very impressed! 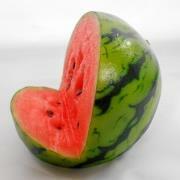 It actually looked just like a slice of watermelon! I even fooled one of my children with it. 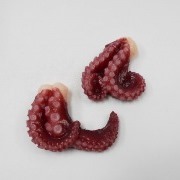 I would definitely recommend Fake Food Japan to anyone who is looking for an unusual conversation piece or a gift for someone who seems to already have everything! There is so much to choose from. When I first received the items, I felt that they looked so real and could easily pass off as the real thing! I think Japanese food enthusiasts will be very interested in getting more of these products that are available on the Fake Food Japan web site. 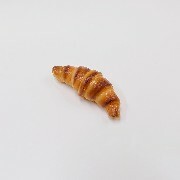 We were totally amazed by the "fake food japan" site. 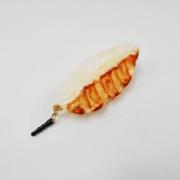 We purchased several zipper pull items i.e., lemon slice, green pepper and crucian carp and kept some for ourselves and gave some away as gifts. 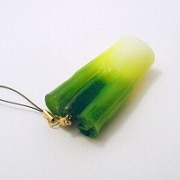 These are such unique items and can accessorize your jackets, backpacks to handbags to name a few ways to use. If you want to make a statement and have something that your friends do not have, I strongly suggest that you visit this site and purchase an item or two and be amazed at how everything looks good enough to eat. 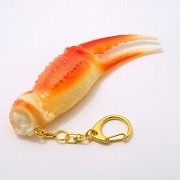 When I first received my item (crab claw USB stick), I noticed how real it looked. The details were very elaborate. I could see the workmanship there. Actually, the products on the website made me really hungry :) There is almost no difference between the fake food and the real food. These would go perfectly well in the kitchen as a decoration item. Also collectors would be very interested in these products. I really recommend Fake Food Japan if you are in search of something unique. I loved the restaurant fake food sample when I lived in Japan. 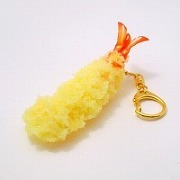 When I found the Fake Food Japan web site, their products reminded me of my time in Japan and are so cute. I always ate the cream pudding, so I purchased one to remind me of my Japanese experience. 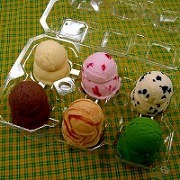 Anyone that loves Japanese culture or anything to do with Japan should think about buying from Fake Food Japan. Although I've never been to Japan I do love their culture so I'm often just browsing the internet. When I found Fake Food Japan I was immediately interested. 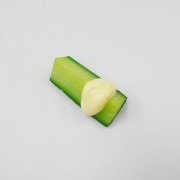 The pictures on the site are very appealing, they even make you hungry. :-) When I received my order I was pleasantly surprised that it was all life-size, I really didn't expect that. As a reseller I only hope that there are more people in France as crazy about Japan and this fake food as I am. If so I'll certainly come back and not in the least because of the nice and friendly way I was served. Buying for a 17 yo is hard, so when I read about Fake Food, I knew I'd find something interesting. 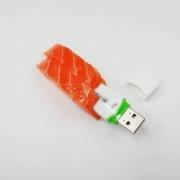 On opening the package, I was impressed to see the attention to detail on the maguro sushi USB stick. 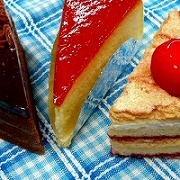 I think Fake Food is a good place to start shopping for birthday, Christmas and other presents. Their service is friendly and prompt. I decided to order from Fake Food Japan after receiving a very prompt and courteous reply to my request for a custom quote. I had an unusual request for them and they had a very "can do" attitude about it which made me feel like I had chosen the right company to do business with. The ordering process was easy & the customer service was great! When I received the item from Japan, I was very impressed with the quality of the replica and how realistic it looked! It truly does look like a work of art. I couldn't be happier with my custom, one of a kind piece! Thank you, Fake Food Japan! I had decided to order from Fake Food Japan after my wife found their site online and wouldn't stop talking about how much she loved all of their products, so when her birthday was coming up I decided to purchase some items. After really agonizing over what to get her from the site (everything looks so cool), I decided on four smaller items. I ordered them and much to my surprise I received them not even two weeks later. They really do look like real food, the steak magnet and chocolate doughnut in particular look like they are actually edible. To wrap this up I have to say that every step in the process of ordering was very simple and enjoyable, Justin made it a very personable experience. Anyone in the market for a very fun gift for a fake food lover, or anyone else, should definitely buy from these guys! 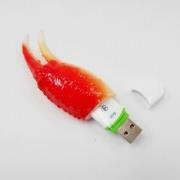 We were looking for a thumb drive that was specifically crab in shape. This one definitely fit the bill. We loved that it looked like a real crab claw. 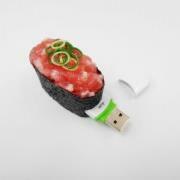 We were not disappointed, the thumb drives looked great. The only thing we wished was that the thumb drive itself would have been better disguised -- either integrated into the claw more, or at least colored so it did not stick out so much. Overall we were really happy with them and our clients LOVED them. If you are looking for a highly quality product, these are definitely worth it. Justin and his team were extremely helpful throughout the process and got us exactly what we needed when we needed it. I was pleasantly surprised when I saw the products. They really look real and are of high quality. 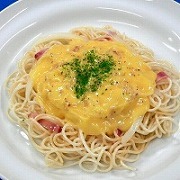 The products give me inspiration for a lot of fake food ideas which I would like to buy from Fake food Japan. 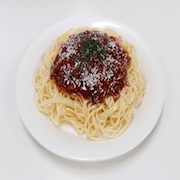 I am very happy with the item I ordered (a plate of spaghetti with bolognese sauce and parmesan cheese). It looks amazing!! 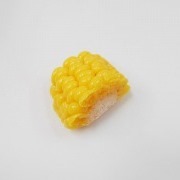 Anyone who's into fake food should check out the products here at Fake Food Japan. I decided to buy from Fake Food Japan because I had an idea in my head about what I wanted and when I looked for the item on the Internet, everything I came across looked cheap and not realistic at all...until I found Fake Food Japan's site and I was hooked. When I received the items in the mail I was so excited.....The items are better than I imagined. 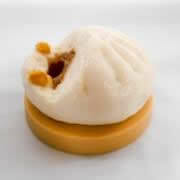 Anyone who wants a quality product, great customer service and very realistic fake food, should consider buying from FFJ! 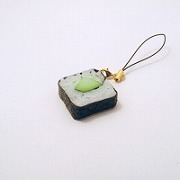 I was looking for an original gift for a friend of mine who loves Japanese food and ramen. 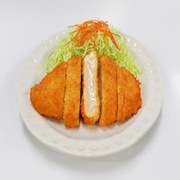 Much to my surprise, I was lucky to find the Fake Food Japan site on the Internet! 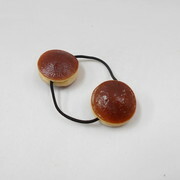 In the past, I looked for fake food items online at places like eBay but was never able to find any attractive items. But this time with Fake Food Japan, I finally had many items to choose from that were of interest to me such as sushi, ramen, noodle dishes, etc... In addition, the customer service was really nice, and I was kept in touch from the beginning concerning my order all the way to the shipping of my parcel! Perfect. Of course, the items coming from Osaka are really fine pieces of art. They look so real with so many little details, which are exactly like the ones you can find in all of the great Asian restaurants' showcases! 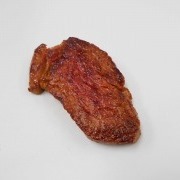 I decided to buy from Fake Food Japan because their website at first glance seemed reliable. 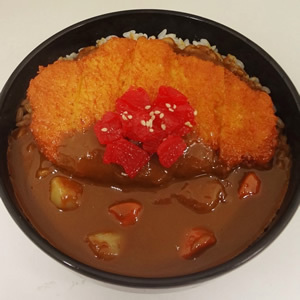 I checked Fake Food Japan's Facebook page in addition to all of the testimonials from previous customers located on their website, which made me feel secure that I would be taken care of when ordering. I was in contact with FFJ from September the 7th and over a 3 month period, we exchanged about a hundred emails with each other. I imagine that my order was not the most important in the history of FFJ, but Justin knew how to take care of his customers (regardless of size) all the way to the final transaction. Always understanding, he drove the deal to the end with great professionalism. I was so happy to open the boxes containing all of my items. I really felt like a kid opening a new gift for Christmas! 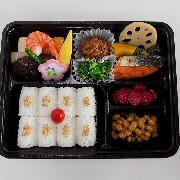 First, Fake Food Japan shipped the goods with a respected express delivery company. For customers it's proof of their reliability. Second, every item (16 in my case), was attentively packed with plastic bubble wrap, so there was literally no way for my items to get broken. I'll sum up Fake Food Japan in one word - PERFECT! I'm a professional, and I guess Fake Food Japan could satisfy all professionals with their attention to deal and courteous customer service. Basically, FFJ understood all of my needs as a customer and replied very quickly to all of my questions via email. They know how to solve difficult problems facing businesses when it comes to fake food. I live in Paris and thanks to the Internet I was able to find FFJ and receive my customized items with ease. Technology makes life easier and as a result, we can create new business dealings without seeing factories or companies no matter where they are located in the world. I was so happy to meet FFJ - reliable, courteous, and professional. 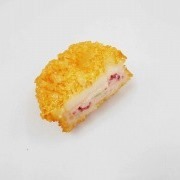 I was looking for props and found the Fake Food Japan web site via a web search. When I received my items, I thought they were really cool looking. As for who should buy from Fake Food Japan, teachers and restaurant owners/managers are two occupations that immediately come to mind. I was surprised when I found exactly what I was looking for on the website. It's an unusual item so I was so happy when I found it, and the delivery was perfect! Justin was very open with communication in letting me know the process of my package being sent out. I was 100% satisfied with my item and and the service and delivery. Thanks so much! unique and memorable. Since she works in the fresh poultry industry I racked my brain trying to figure out what to do. It had to be special and unique. I thought, how cool would it be to see if there was anything out there that was fresh poultry looking - anything, not expensive, just killer unique. 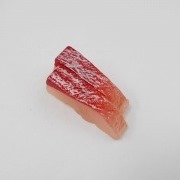 I searched under raw chicken, and POW, Fake Food Japan came up. The moment I saw what you guys had to offer, I sent my email request to you that night. If it wasn't for your help and great customer service I couldn't have pulled this off. Thanks again. You really made an impression on me and have made one lady the envy of her office. 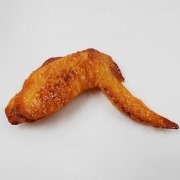 On my 21st birthday, my boyfriend surprised me with a fake food fried chicken wing and since that day I have become addicted to Fake Food Japan! I just couldn't wait to order more from them so I did! Justin is very adorable, kind, and so polite. He answered all my questions and is always helping me with everything! I was thrilled to receive my fake food. I get hungry just by looking at them - hahaha! What can I say? When you see the fake food, you will feel the same! The perfection in all of the details is amazing. Everything is so well done! My favorites are the fried egg, chicken wing, and meat! They're AMAZING haha! I always feel happy when I look at them! And the fact that it's possible to make customized orders is really great! Trust me, you'll feel the same as I do when your package from Fake Food Japan arrives! 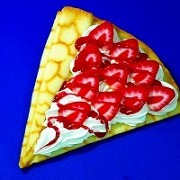 I think that everyone who loves food should have a piece from Fake Food Japan! Everyone always stops me on street to ask about it, such as who made it and where is it from, so it's really an eye-catcher! I will order again for sure! Thank you Fake Food Japan!! 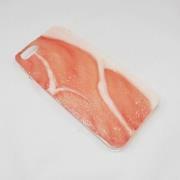 I really wanted a real food looking phone case cause I'm such a foodie. 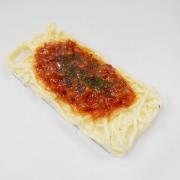 I then came across the Fake Food Japan website and fell in love with the spaghetti and meat sauce phone case so I said why not order it. I was so excited when I received it in the mail the other day. I then posted it to my Instagram page and immediately started getting comments on how cool it was!!! I definitely will be ordering again and would recommend anyone looking to get cool food phone cases and accessories to get them from Fake Food Japan!! 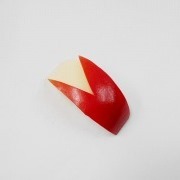 I decided to buy from Fake Food Japan because of the realistic hand made fake food accessories. They are fun, really interesting and mostly just different. 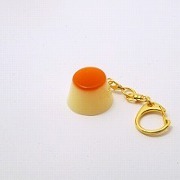 Anyone would find these curious little items jaw-dropping and surely want one ASAP. They just look so REAL. When I received my item in the mail and saw it with my own eyes, I just felt speechless, honestly. I even laughed a little because I couldn't believe it. Even right now that I opened it like 5 hours ago, I can't stop looking at it! It's just so awesome! Fake Food Japan really did a good job. 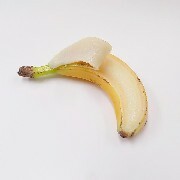 People that are different and want to stand out should definitely consider buying from Fake Food Japan. I haven't had my item for too long and I already know that I would never regret making this purchase. So, really, anyone who just wants to get a laugh out of someone, wants to be different or that just loves food should really buy from Fake Food Japan. Fake Food Japan's products are a very good representation of real food. Also the quality of the item surprised me as I didn't expect it to be so detailed, and the fact that it's handmade just adds to it's uniqueness. 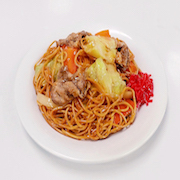 Any Japanese or Asian restaurant that sells any of the items Fake Food Japan makes should really consider buying from Fake Food Japan. One such example would be to use Fake Food Japan's products for menu display purposes at the front window of their restaurant. 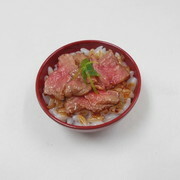 Apart from that, anyone with a passion for Japanese food should definitely give the Fake Food Japan website a look over. 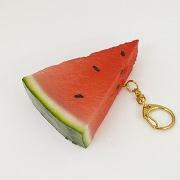 I was looking for a nice key chain with a fruity kiwi theme. After looking all over the Internet I found nothing that I liked. All the key chains that I found either looked cheap or couldn't even be associated with a kiwi. That was until I stumbled on to Fake Food Japan. The items offered looked convincing and still charming. When I saw that I could pay with PayPal I was totally convinced since PayPal transactions are easy and give both the buyer and seller some sort of security. 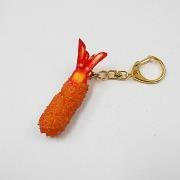 So I decided to order the little key chain. Shortly after I got a nice mail from Fake Food Japan in that they received my order and they would send it as soon as it would be available. After a few days the package was sent and once again they sent me an email to let me know along with an estimate of how long they expected it to take for my package to be delivered (10 to 14 days in my case). After no more than 5 days the package was delivered to my door, maybe I was lucky with the shipping but I'm not complaining. I opened it right away and to my surprise the item was even prettier then on the picture. It felt perfect in every sense. I'm really happy with ordering this item and I would recommend this seller to anyone who is looking for a quality product of this nature. As stated before, I couldn't find any other seller that had similar items and I'm glad that the one that I did find has fulfilled my every need. Thank you Fake Food Japan. As someone who loves Japanese culture and Japanese food, I was really interested in the products offered by Fake Food Japan. There was a wide array of impressive and realistic looking items to choose from. When I placed my order I received fantastic customer service and a very detailed and unique product. Fake Food Japan is great for anyone in the food industry, people who love Japanese culture or anyone looking to find a gift for the person that has it all. I've always been impressed by the fake food displays at restaurants in Japan and had previously purchased several displays from stores along Tokyo's Kappabashi-dori. 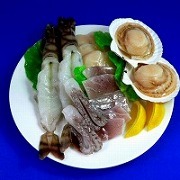 Because I have not been back to Japan in some time, I began looking on the Internet for online fake food stores. When I came across Fake Food Japan's site, I could tell by the type of products displayed that these folks were serious about their craft. When I placed my order, Fake Food Japan did a tremendous job of keeping me informed on the status of my order. When my order arrived, it had that instant "wow!" factor as good as any high-quality fake food that I've seen before! 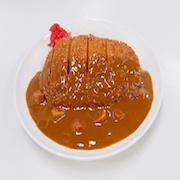 I've already begun daydreaming about my next order from Fake Food Japan. Try them great products and excellent customer service! 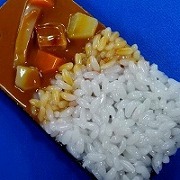 I decided to buy from Fake Food Japan after seeing a picture of their curry rice phone case on Pinterest. 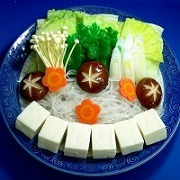 I fell in love with it and found Fake Food Japan when searching the Internet. When my phone case arrived I was surprised by just how realistic it looked! Anyone who has an interest in Japanese culture and would like a fun and one-of-a-kind piece should definitely buy from Fake Food Japan. 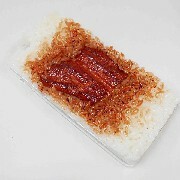 Ever since I got an iPhone I wanted a case that would set me apart and one day I stumbled upon Fake Food Japan. I don't know anyone with a case like this where I live (North Carolina). So I bought myself a case from Fake Food Japan and I love it. I was anticipating the arrival of my case and when I finally got it I was overwhelmed with happiness. I LOVE my new phone case. 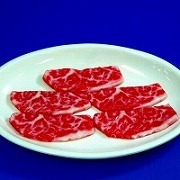 I would recommend everyone to buy from Fake Food Japan. The delivery is fast and the product is awesome. 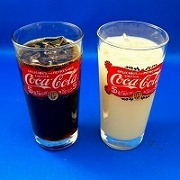 I WILL be purchasing from Fake Food Japan again in the future! 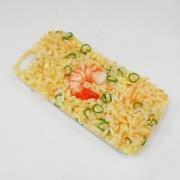 I was googling phone cases and came across the Fake Food Japan case and I fell in love. When it came in the mail I was stunned by how realistic it looked. The company kept me updated on my package and I would recommend this product to anyone who likes food as much as I do! My experience with Fake Food Japan has been absolutely delightful. Throughout the process of composing a large, international order they were able to work with me in a prompt and personable manner; the entire experience was made extremely easy. 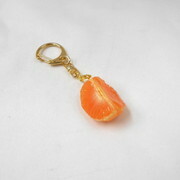 Their keychains arrived ahead of schedule, were carefully packaged, and looked fantastic. 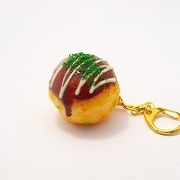 I was impressed not only with the realism of the fake food keychains, but with the durability of their materials as well. I highly recommend Fake Food Japan for anyone looking for an unusual gift, or for boutique retailers looking to expand their product range. The items that I ordered were exactly as shown on the Fake Food Japan website; and if anything, they were even better than shown. We were all amazed by the salmon sashimi, takoyaki, deep fried shrimp and chicken wing! Anyway, they made perfect Christmas presents. Next Christmas I think the gift receivers said they were going to hang them up like ornaments! We fell in love with Japan after our first visit - the people, places and of course the food! The food replicas in the shops are not only helpful for tourists, they are incredibly life-like. Fake Food Japan enabled me to have my own unique and tangible memento of Japanese culture. 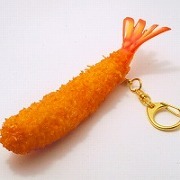 I was delighted with my key chains when they arrived, they are fabulous and fun and just made us all smile! 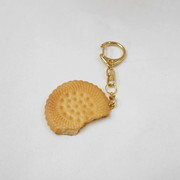 I wanted a unique key chain so I decided to look on the Internet for food key chains. I realized many of the sites didn't do overseas shipping or had really non-realistic products. When I saw Fake Food Japan, I was so impressed not only because of the wide selection offered but because everything is handmade. When my parcel finally came (efficient delivery times), I was more than satisfied with my order because the key chains are very realistic. Oh, not to mention that I could immediately tell that they used high quality materials because the keychains didn't smell like cheap plastic at all! 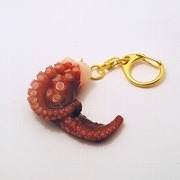 I would recommend this site to anyone looking for something special as I have received many compliments about my key chains. I was introduced to fake Japanese food by my local Japanese restaurant. I thought it would be fun to have some similar items in my home. Prices on Fake Food Japan were in euros so I felt comfortable ordering and more importantly the food looked real! I received my item fast and it was exactly as shown on the website. 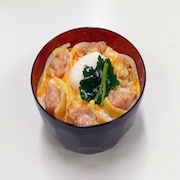 Whether you are a restaurant owner or just someone who is interested in Japanese culture and cuisine and want something special and funny in your home, I would recommend buying from Fake Food Japan. I'm a very satisfied customer. 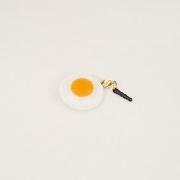 I have always loved looking at the plastic food replicas in the windows of Japanese restaurants, so when I found Fake Food Japan, I thought it would be fun to get some key chains. It actually took me a long time to pick out which ones I wanted because everything looks so good! The customer service was great and the quality and attention to detail of the products is amazing. I would happily purchase from Fake Food Japan again in the future! 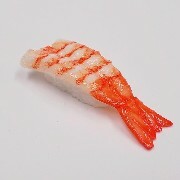 Even though there are many fake food related web sites in the U.S., I always knew that Japan was the origin of fake food. 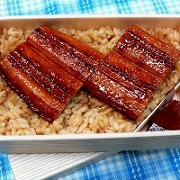 When I searched online, I found Fake Food Japan. With its web site being in English, this was a huge help for me to understand how the process worked for ordering. At the beginning I was kind of worried about communicating with Fake Food Japan because I don't speak Japanese, so I asked a friend of mine to help me in contacting them. As it turned out, communicating in English wasn't a problem. After receiving my items, I feel that they are better than as they were shown in the photos I was sent. Honestly speaking, to prevent myself from being disappointed, I lowered my expectations before opening my package. 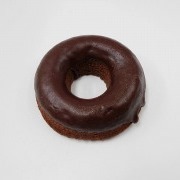 The items that I ordered are a little different than my real product, but this is fine as people when viewing my fake food items can understand what the real item will look like. 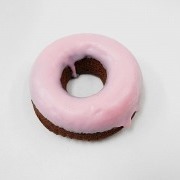 I am amazed and amused at how fake food can be created to look almost like the real thing. Fake food is great for people who love their customers and want them to get an idea about what they order will look, feel, and imagine even what it will taste like. I like to see people laugh and fooled by my items. For potential customers, don't be afraid to ask Fake Food Japan to modify your custom-made order if it is not what you want. At the beginning, I felt a little sorry to ask Justin to change the design of the items for me because I think it must take a lot of work, but Justin was very friendly and attentive to my changes. Your job as a customer is to assist Justin in explaining your design to him so he and the Fake Food Japan team can satisfy you as their customer. 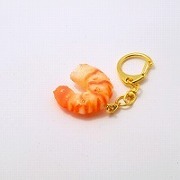 I had seen a photo of the fried shrimp key chain on tumblr so I decided to check out the website. 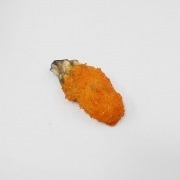 I found the chicken wing and I decided to buy it but I was not expecting it to arrive so quickly coming from Japan. 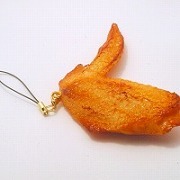 When I saw it I laughed really hard because now it looks like a real chicken wing is hanging from my backpack! Honestly if you like weird novelties this is a really good website to buy from. After seeing a friend with fake food accessories, I looked everywhere to find them for myself. After seeing a Twitter post about Fake Food Japan, I was thrilled and immediately put some items in my cart. I was very excited seeing the items, and they looked just like the thumbnails on the website. These accessories are great gifts for anyone, young or old. 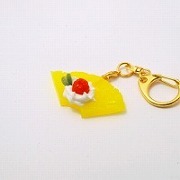 As soon as I saw Fake Food Japan's realistic pancake keychain, I was powerless to resist. It looked so real! It was so cute! 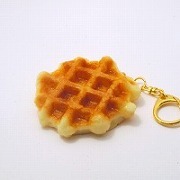 As a pancake enthusiast, I knew I had found the perfect keychain. It took a couple of weeks to arrive, and when I finally saw it, my day was really made. It was even more awesome in real life than in the picture. The coloring was excellent. I was impressed by the sturdy material and attention to detail. 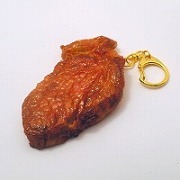 If you love food, need a unique gift, or want a portable little conversation starter, you should absolutely check out Fake Food Japan! I decided to buy from Fake Food Japan because I thought the products looked super cool, and they seemed like the most high-quality and reasonably priced retailer. When I received the package I was sooooooo over the moon, and everything was better than I expected. I reckon anyone who is looking for something to admire forever, or looking for a pretty sweet gift, these should satisfy heaps. I recently visited Japan and saw all the amazing food models at the local restaurants. I was able to buy a few while I was there. One of the vendors gave me Fake Food Japan's web site and I liked the looks of the quality of the displays including sizes available. I was really impressed with the models I received. Good quality and the correct portion sizes (very important in my job). I have gotten great feed back from my patients and co-workers on how realistic the models are. "Good enough to eat", "Makes me hungry just looking at them", etc. I teach diabetic patients and their families about responsible eating. Seeing models make the portion sizes more understandable versus saying a portion of rice is 1/3 cup or 1/2 cup of mashed potatoes. Any one who teaches nutrition should look at purchasing these models. I wanted to buy from Fake Food Japan because the items were unique. 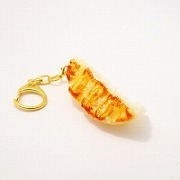 I love Japanese food, so I didn't hesitate to buy some keychains of my faves! I love them! The texture of the material is very interesting, I thought that it would be hard as plastic, but it's somewhat fluffy and funny to touch. The realism of it was also very interesting! Japan food lovers or just people who like the esthetic of fake food should buy from Fake Food Japan, haha! 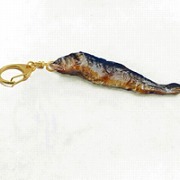 I ordered several keychains from Fake Fold Japan as Christmas presents for my daughter because she loves everything about Japan. From the ordering to the delivery, Fake Food Japan was very helpful and responsive to all my questions. The delivery was extremely quick, and I was not disappointed. When I saw the fake food, I began to laugh because it was so realistic, and I knew my daughter was going to love them. I can't wait for her to see them on Christmas Day. 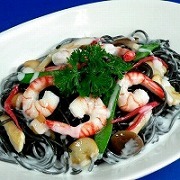 Thank you Fake Food Japan for the great fake food, fast delivery and quick responses. Excellent customer service. 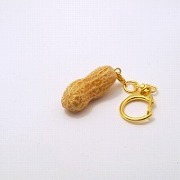 I ordered a peanut keychain from FFJ. It's very nice and exactly what I wanted, a perfect little gadget-gift for someone. The only problem was the delivery to Europe, which took a long time, however it was Christmas season and delivery by post. 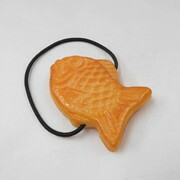 I stumbled upon Fake Food Japan while I was searching Google to find a taiyaki magnet that I couldn't find anywhere else. The items for sale on the website make you want to travel to Japan again. 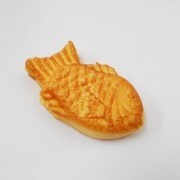 Personally, I love taiyaki and I can't find them where I live but now I have my magnet! Everybody who loves or misses Japan would like this website. When your item is sent, it's well protected, and you will not be disappointed! I decided to buy from Fake Food Japan when I was reading a book about Japan and saw an article about the fake food. I had seen it before and I really love the way it looks. I love art and I definitely consider this beautiful works of art. When I saw my food, I was very happy because it was more than I expected! It is super realistic and I cannot wait to display on my wall in my kitchen. I definitely think people should buy from Fake Food Japan. You're very professional and I really appreciate you keeping in touch with me. My food arrived safely and I couldn't be happier! Thank you so much. I collect fridge magnets and I love fake food so I wanted to get some for my boyfriend, my housemate and myself. I consulted the Internet for options and I was pleased with the variety offered by Fake Food Japan. Japan is known for its fake food and I was interested in seeing some for myself. 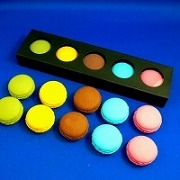 When I received my package, they were so cute with such nice textures and colors. The objects I ordered did not present realism at a level I think a restaurant would desire but they are quite dreamy things regardless. 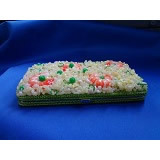 I searched online for fake food from Japan and I liked Fake Food Japan's website initially because it was in English and well done. As I was looking at the items I saw that there was a large variety and looked very realistic. When I opened my package I was blown away by the detail and craftsmanship of the food. I was astounded and left wondering how do they do this? Very very high quality and I understand why the items are somewhat costly. Anyone who is working on a food display that needs it to be long lasting should consider Fake Food Japan. I have purchased these items for an exhibit on bento. I do many workshops and will use the food to fill the boxes so people can understand how a box is organized. 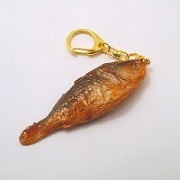 I decided to purchase this item from Fake Food Japan, as it was the most realistic looking one that I could find. When I opened the package, I was excited to see that it looked even better in person. If you appreciate good customer service and would like items that look real, then this is a great place to order from. A few years ago I visited Japan and picked up a nice piece of fake otoro sushi from Kappabashi in Tokyo and a takoyaki keychain in Dotonbori. They've sat on my computer ever since. I always wanted to get some more, but good food replicas are hard to come by in the US. It looked like it would be necessary to order them from Japan, so I started looking around the internet. Fake Food Japan had a well laid out English site and good communication. Shipping was fast and trackable. 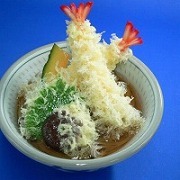 I would recommend them to anyone interested in food replicas like the ones in restaurant window displays across Japan. I ended up getting some refrigerator magnets this time that look really great (and the magnets are strong too). I was exceptionally happy with my purchase from Fake Food Japan. It was just as pictured on the website, and of a fine quality. I love having friends ask about my unique case and comment on how real it looks! 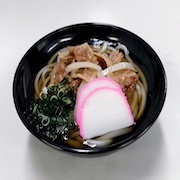 I chose to purchase the product from Fake Food Japan because I found that Fake Food Japan makes a good quality fake food product as shown on the website. Everything is well described for instance the size of the product and material used. Everything is professionally done. I ordered a fake grilled Ayu fish and a fake fried shrimp because I am a big fan of cuisine around the world. 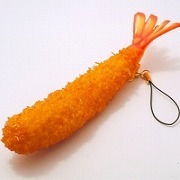 And of course my most favorite food is Japanese food so my fried shrimp will not only stay in my lunch bento box but also will stay with me as an accessory on my gym bag! How nice! I am very impressed with the product since it looks so real. 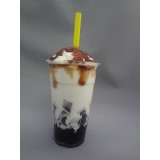 The person who would be interested in fake food products can be vary from children to adults or even a restaurant that would want to make a customized version of their own food to show to the customer how their food looks. 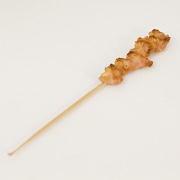 Since Fake Food Japan offers a very broad variety of products, they are suitable for every kind of food lover! When I found Fake Food Japan, I thought the food would be funny and unique which would definitely draw attention, so I decided to order something. I felt amazed when I received my order. They look even more realistic in reality and it was hard to tell that they weren't actually real food. Since there is a wide range of products, I believe everyone would find something they enjoy, no matter what age they are or which part of the world they reside in. I would also like to add that the shipping is very fast and that the customer service is exceptionally good. It is a great pleasure to be able to write this to show my support for Fake Food Japan which I have recently purchased from. I decided to buy one of their products because it was the astounding detail and work put into them which caught my eye straight away. Being an artist myself I was able to appreciate the creativity which was put into each single one; pancakes are one of my favourite treats too. When I received my package I was thrilled to see it had come and made it all the way from Japan. 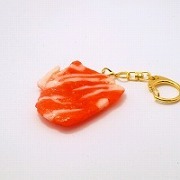 I collect keycharms so it's delightful to own a handmade one which looks absolutely edible. Seeing it for the first time made me thankful that I had bought the item and was able to look at the glistening melting butter syrup on top in real life. It felt really good that I would never regret buying anything from Fake Food Japan. Everything looked like it had come out of a magazine. People who love quirky items and food should definitely try Fake Food Japan's products. The service over all was quick and the communication was lovely. Never did doubt Fake Food Japan because I knew exactly when it was being made and my package being sent. Thank you once again. 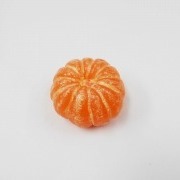 I recently searched online for plastic food like what I bought when I visited Japan. I found that Fake Food Japan has a nice selection of items, and I placed an order for a Frisk mint case and a few magnets. The order arrived when I was told to expect it, and the quality of the items is more lifelike than I was expecting. I have since placed another order for more as I am very happy with what I received. 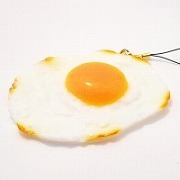 If you want a great novelty gift or quirky home items, I would order from Fake Food Japan. I am a customer from Toronto (Markham) and this is my first time purchasing from Fake Food Japan. I was looking for a business card case through the Internet and somehow came to their website. Their unique and special design caught my eyes so I decided to get one. Justin, the CEO, is very helpful and responsible. I wanted to upgrade my shipping method after the payment had gone thru, so i emailede him about the shipping issue, he replied my email so quick and handled it sincerely. The parcel from Japan arrived on the expected date and I am very happy with this. I will surely be one of their return customers in the future, not only because of their awesome products, but also the caring customer service they provide. If you are looking for something special and one of a kind, go for it, you won't regret. I decided to buy from Fake Food Japan because they are one of the only shops that had what I was looking for. It is hard to find novelty products, but Fake Food Japan had a big selection. The qualiy is great and the customer service is fast and friendly. Now I will always be looking forward to eating delicious yakiniku! 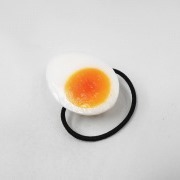 I was looking for an unusual but good quality present for a friend and came across Fake Food Japan online, they offered a range of interesting and quirky products that were just what I was looking for. As I'm based in Europe I tend to avoid shipping from so far away but the website was very easy to navigate and the charges were surprisingly good! It didn't take long to get my order and emails from the company assured me of it's progress throughout. When I opened it up it was more than I could have hoped for, perfect fun gift! 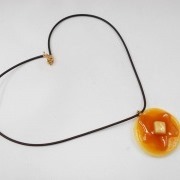 This site is great for unusual and fun gifts!! 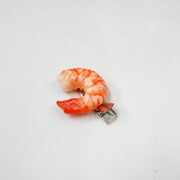 I decided to buy from Fake Food Japan the first time because the little shrimp looked so real and cost was so affordable! I love my little shrimp and fried egg. And I bought the case because my first purchase went so well! I FELT HAPPY!!! I was so excited for the case because curry is my favorite food, and I wanted a case that really expresses myself, and I finally found it. I also like how all the things you send are in newspaper. Very cool. Um basically anyone who likes cute things should consider Fake Food Japan! I turned a few of my friends on to it as well and they plan to buy flash drives, key chains, etc. I think your products are a nice way to make such mundane things more enjoyable and fun! Food is great. Food is a great concept in general. 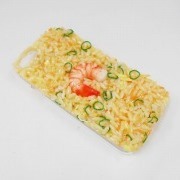 I was looking for a unique way to protect & show off my phone while making a statement, and the cases at Fake Food Japan certainly do that! I knew I would get funny looks when I pulled my shrimp fried rice out of my pocket, but I never expected my phone to get passed around my office, the bar, and friends' dinner tables to astounded looks and laughter. If you're looking for something that's not just a regular phone case but more of a conversation piece, look no further. 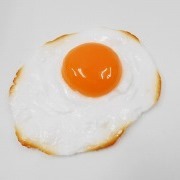 Fake Food Japan offers an incredibly wide range of replicas that look exactly like real food. Delicious. And having had just visited Tokyo, Japan, I have to say they were as good if not better than everything authentic I saw in Japan. Also knowing they are made-to-order meant they would take the time to craft something perfectly. The products I ordered were incredible. So real. So well crafted. And I was in awe of the craftsmanship. Everyone should consider buying from Fake Food Japan. If you are looking for real but fake authentic japanese food, Fake Food Japan is perfection. Fake Food Japan was also beyond personable, respectful & extreme attentive to my order keeping me informed every step of the way to ensure I was happy with their product. There was a real, human, authentic touch to my order which is shocking having placed the order solely over the internet. I am beyond thrilled with my purchase. 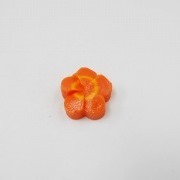 The sushi magnets are really amazing. The attention to detail is fantastic! I ordered these from Fake Food Japan because it was the only place on the internet that I could find authentic Japanese food replicas. I first saw souvenirs like these being sold on Kappabashi-dori street in Tokyo many years ago. I was backpacking at the time and so I had a rule that I wouldn't buy anything I didn't need, but I never forgot about how cool they were. I've been looking to buy them online ever since, but to my disappointment, no one was importing them to America. These are a wonderful reminder of how the Japanese focus on artistry and attention to detail in even the most mundane items, something I admire greatly about the culture. Thanks for making these available to the world. 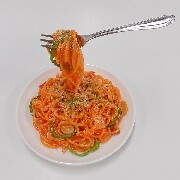 For months I've had the fakefoodjapan.com website bookmarked on my computer. I can't remember the exact website that led me to Fake Food Japan, but I remember being so taken with the imagery! 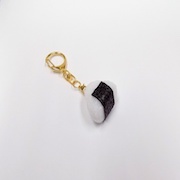 I had been toying with the idea of buying a keychain, and finally one day I decided to just go for it, and I ordered the little onigiri keychain. I was so excited to see the package in my mailbox! When I opened it up and saw my keychain it made me so happy; it was exactly like how I imagined. 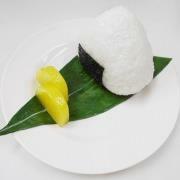 The onigiri is very realistic, and you can see the individual grains of rice. 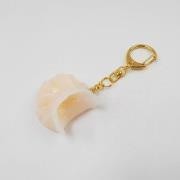 The keychain clasp is very durable, and is much higher quality than most keychains. I'm so pleased with my shopping experience, that I'm certain I will purchase from Fake Food Japan in the future. 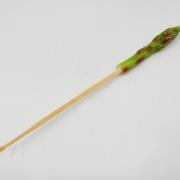 Anyone who is a fan of Japanese food should strongly consider buying an item from Fake Food Japan. As someone who is interested in authentic Japanese food, I can appreciate the selection of items Fake Food Japan has to offer consumers. Where else can you buy an Okonomiyaki keychain of such high quality? Nowhere! I have ordered from Fake Food Japan twice now and will probably be ordering from them again in the future. The project i am working on is kind of complicated but Justin took the time, through many emails, to work with me on how i could get exactly what i wanted. 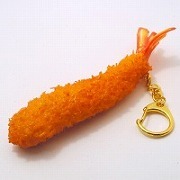 I was searching for an unusual key chain and found Fake Food Japan. 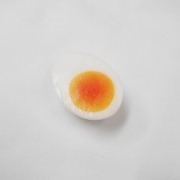 When the fried egg arrived, I felt very happy and I was surprised at how good and authentic it looked. 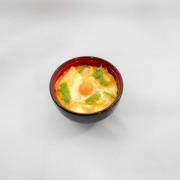 Everyone who wants an unusual present or a bargain for himself should consider buying from Fake Food Japan. I wanted to say that everything I received was perfect and so much more beautiful than I ever imagined. The raw fish and chicken especially were extremely life-like. The chuck streak's rich coloring was so rich and vivid. I would definitely like to order from you again in the future. After I received my order, I am certain that I made the right decision to cooperate with Fake Food Japan. The display foods are well packed and look very yummy. Justin is very friendly and always stand-by to answer my questions, and my suggestion to make final changes was well solved. The waiting time was a bit long but definitely worth it. We are designing a new generation of Escape Rooms in Singapore and needed high quality magnetic food products from Japan. We chose Fake Food Japan because of the realism of their fake sushi. We will use Fake Food Japan again. Car vous aviez une grande diversite de produits disponibles et a tous les prix. J'etais tres content de recevoir un colis du japon empaquete dans du papier journal d'un quotidien japonais. 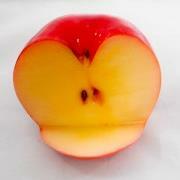 Et les produits etaient completement conformes a mes attentes. Voire meme au dela. Les amoureux du japon et de produits insolites. 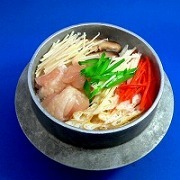 I was looking for fake japan food and I liked the examples while viewing the Fake Food Japan web site. It was really good to see all the amazing work! 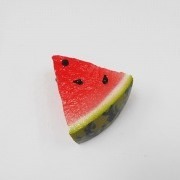 I think artists should consider buying from Fake Food Japan. I bought from Fake Food Japan because of their long running history in the business and the quality of the products displayed on the site. The products I received were even better and more detailed than expected and the people who received them were very impressed and happy. 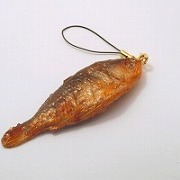 If you are looking for a quirky gift without breaking the budget then Fake Food Japan is for you. My family and I are huge lovers of Japanese food from a long time ago. In Barcelona we have the luck of having a powerful Japanese community with very good restaurants that we discovered far before the sushi trend because Japanese food is much more than sushi. One of these restaurants, which I know since my childhood, has some beautiful fake food of ramen, yakisoba and sushi that I always loved. 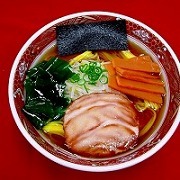 I think Japanese food is very visual, full of gorgeus colors and impresive compositions. I always wanted to start a collection of fake food but it wasn't until last month that I discovered Fake Food Japan in a Facebook ad. It really blew me away with so many beautiful dishes. 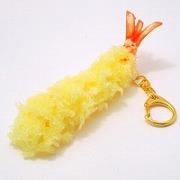 I inmediately put an order on three keychains (for me, my brother and my mother) before going for "bigger" things. Now that I know the quality of the product is very good I will consider spending some money on more elaborated dishes, and starting my own Japanese fake food collection, which will be my personal temple of one of the things I love more in the world: Japanese food, which for me is the perfect merge between balance and simplicity. 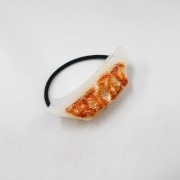 I encourage everyone who loves Japanese food to get some of the gorgeus pieces from Fakefoodjapan.com, their quality is fantastic and they are beautiful. Je voudrais d'abord insister sur le fait que le vendeur m'a tenu au courant personnellement (pas un message automatique) du suivi de mon colis et qu'il était toujours disponible pour répondre à mes questions. Pourquoi avez-vous décidé d’acheter chez nous ? 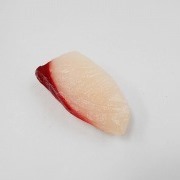 Je cherchais un cadeau original pour mon frère puis je suis tombé sur le site Fake Food Japan, j'ai alors cherché, parmi la multitude de produit disponible, son aliment préféré et je l'ai trouvé. Lorsque vous avez reçu votre colis par courrier et que vous votre commande, qu’avez-vous ressenti ? J'ai été agréablement surpris par la qualité de fabrication et l'effet réaliste du porté clé.Qui devrait penser à acheter chez nous ? Les personnes voulant offrir un cadeau original et amusant. I saw FFJ featured in a story on CBS Sunday Morning. I then checked out the web site and found it easy to navigate and order. When I received the item, it looked great in person. More realistic looking than I ever expected. 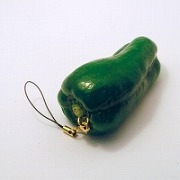 As for who should buy, anyone with a great sense of humor, anyone looking to make a statement or anyone looking for some truly unique, conversation inspiring art or decorations should have a look at FFJ. I saw Fake Food Japan on the CBS Sunday Morning Show and decided to buy. I was very happy with the merchandise. It’s a very convincing piece of art. 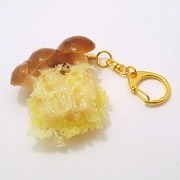 I’ve mentioned about Fake Food Japan to a few of my friends that they should consider gifts for their foodie friends. 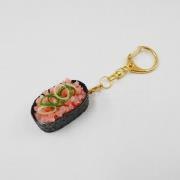 I ordered the tuna sushi keychain for a friend that loves sushi. It was perfect. Not too big, it was just the right size and so real looking. When I gave it to her, she loved it! If you need your fake food item soon use the higher priced shipping since it is coming from Japan. Of all of the websites selling fake food products from Japan, Fake Food Japan by far has the most accessible and easy to navigate website. They have a fairly broad range of products, and they accept and encourage individual orders rather than requiring bulk purchase. I was elated when my fake food arrived in the mail - they're truly bizarre and unique products and do not disappoint in person. 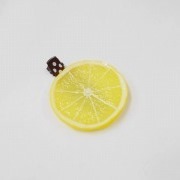 Anyone looking for a quirky and unique gift should buy from Fake Food Japan. These are hand crafted items. If you're not convinced of the skill it takes to create these delightfully strange items, take to YouTube and see for yourself! Customer service is engaged and top notch - they checked in to make sure my item arrived at its destination multiple times. They are clearly dedicated to the product, and invested in making sure their customers are satisfied. The packaging was excellent. Everything arrived in perfect condition and was thoroughly wrapped so nothing could break. The attention to detail on the items is amazing! Bumps and ridges on the replicas, even very slight ones, are present. I can tell a lot of care was taken in making these amazingly crafted products. I'm so happy with my purchase and will definitely be getting more! 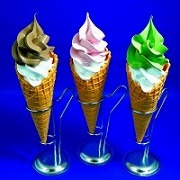 Anyone that loves food and wants to show it should buy these spectacular, life-like replicas! I watched the Sunday Morning segment about the fake food artists from Japan and your company - Fake Food Japan. The handmade work that goes into each piece of artful food is to be admired. I was so interested. Each year, I give a small gift that can be attached to each person's Christmas present. 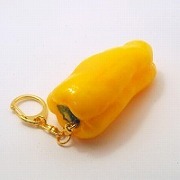 I am so pleased with all of my key chains of fake food. They are so cute and so true to the real thing! A perfect attachment to each gift using ribbon is what I'm using this year and they're going to love it! 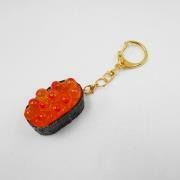 When I saw the CBS Sunday morning piece on Fake Food Japan I knew that I needed to get a sushi keychain for my friend. When it arrived, I was so excited to give it to my friend that I called her over and immediately gave it to her. She loved it! I am so excited to buy more items from FFJ. 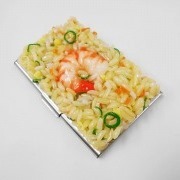 Especially the bento box iPhone case. 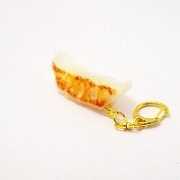 I received my shrimp dumpling keychain just before Christmas. The delivery time was fast considering how far away I am from Japan. 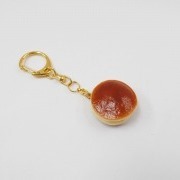 I decided to buy a keychain because I have a long time Japanese friend who rarely gets a chance to come over to Canada BC to visit and when he did, he gave me this gyoza dumpling and i thought it was the coolest thing ever especially with me being a food lover. I also figured it would be neat to stir up a conversation in moments of awkward silences! 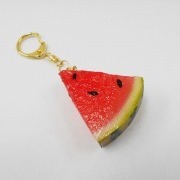 So I then decided to seek out where I can get another one of these keychains to add on to my collection and Fake Food Japan was where it brought me. The moment I got my keychain in the mail I was impressed with how realistic it looked! You could not tell a real one from a fake one at a certain distance. Only thing I was slightly disappointed in was that it's a bit smaller than I originally thought. But that’s mainly my fault and its not that big of a deal. I still think its cool. I would definitely! 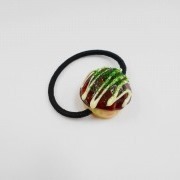 recommend anyone to get their fake food accesories from Fake Food Japan as there is no one else that does it more professionally as far as I know. Thanks very much! The product was profiled on a news program and the quality of the images impressed me. I went to the company website and was very impressed with the variety and quality of choices available. This was a Christmas gift but the photographs from the recipient were very impressive. It looks like real food - very tasty! Anyone who wants excellent looking props should consider these items. Whether for a restaurant, new home model sales, unique gifts or just a great display in your own home are great choices. I plan to buy more for display on our own dining room table. We really like Japanese food so it looks great in our house. One additional point - since this was a Christmas gift, the owner was great in communicating the process and Justin made sure the gift arrived before Christmas. Great customer service and an excellent product. I was looking for something authentic from home for the kids and found Fake Food Japan. I was really pleased with the purchase and would highly recommend them to anyone who would like to get something with a twist! 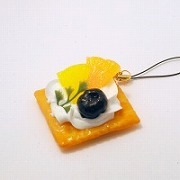 Every since I was a child playing with a doll house with mini grocery items, I enjoyed tiny food items. Then I worked in Korea in 1995 where restaurants had fake food in the windows. I've been interested in buying some but the sites only sold in bulk. Fake Food Japan offers items that meet my needs perfectly. The right quantity and quality. I am very pleased with my purchase. Their customer service was very supportive and responsive to my questions. I would buy from Fake Food Japan again. I was looking for a special gift for a Scottish friend of mine. He loves Golden Curry and I couldn't believe my luck when I saw Fake Food Japan advertised on Facebook. 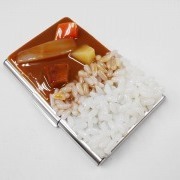 He was over the moon when he received his Golden Curry Business Card Case. I only wish I had purchased more things for myself. I decided to buy from Fake Food Japan because I liked the specific fake food that you had. As for seeing my order when it came, I felt that it was well packaged. 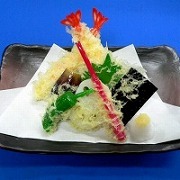 I would suggest Fake Food Japan to anyone who is interested in Japanese culture and fake food. 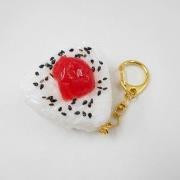 I picked Fake Food Japan because I saw pictures of the product in Google images under “Japanese keychains weird”. I searched through your site and the testimonials were glowing so I knew it was safe. I was really happy with the realism of my purchase. 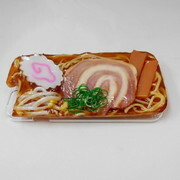 Anyone who has an interest for realistic plastic food should order from Fake Food Japan! I love, love, love my items! I posted a photo of them on FB and got 80 likes so far. Will buy from Fake Food Japan again. I chose Fake Food Japan to order from because their website looked trustworthy and the testimonials were positive. I just wanted a key chain and was hesitant about ordering from overseas thinking the charges and time to deliver would be exorbitant. The prices are very reasonable and it arrived quickly without any delays! 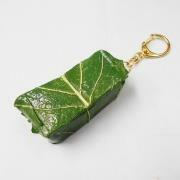 The key chain looks great and will make an unique gift. 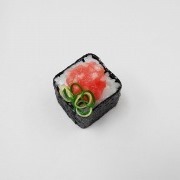 I used to collect miniature food and magnets but in Italy these aren't very common and popular in addition to also not being easy to find...so I started to surf the Internet and was able to find Fake Food Japan! Your food is absolutely real and wonderful...I couldn't believe my own eyes! Your pricing is reasonable and the items are very beautiful...It was a perfect match!!!!! Je suis très contente du produit que j ai reçu. Tout s est très bien déroulé du début à la fin : la commande est très simple à passer, le choix des produits est complet. Un interlocuteur disponible est présent pour répondre rapidement à nos questions. L envoi à été très rapide, dans un emballage qualitatif. Le produit est conforme à mes attentes, tres ressemblant à la réalité. Ces produits peuvent être une idée cadeau très originale. I saw a few food-based phone cases when was in Japan a few years ago and haven't been able to get them out of my head since - then I saw FFJ and knew I had to get one! The service was smooth as silk - placed my order and it came to me in the UK 6 days later - a day ahead of schedule! As for the product... well, I was in a restaurant last night and the attendant tried to take my phone away... the look of surprise on her face on realising that it was actually my phone made it all worth it! Thanks Fake Food Japan! 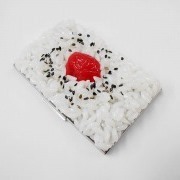 I decided to order a phone case from Fake Food Japan because I love fake food things! They are so one of a kind and unique. Justin was great and very thoughtful and professional. I received my package promptly and its perfect! 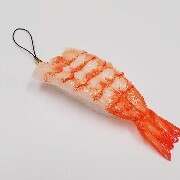 If you're looking for a special gift for yourself or someone else you should buy it from Fake Food Japan. I decided to buy from Fake Food Japan because I came to your website after doing an online search for food replicas. I've been fascinated with them since traveling to Japan. 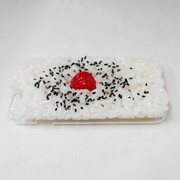 I've been wanting one similar to the Japanese snow cone, Kakigori, for awhile as an iPhone case. I saw that you made custom items, and read very positive reviews. I was very pleased with what you offered on your site. After receiving the package, I was very happy at what I saw. The snow cone had so much detail and looked so yummy that I could eat it if it was real! I like the weight of it, too. 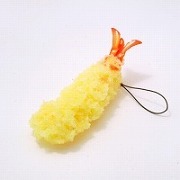 Anyone with a love of imitation food and the craft behind making it should buy from Fake Food Japan. 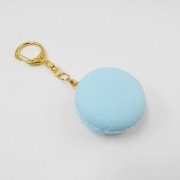 I ordered a macaron key chain for my sister for her birthday. I chose Fake Food Japan because they had good prices, and a really beautiful product. 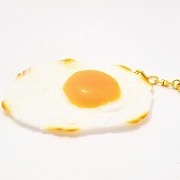 I had to wait about 20 days to get my key chain, but the product was so realistic and well made, I didn't mind the wait at all. 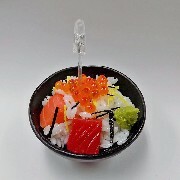 Anyone who wants well made and realistic looking food should order from Fake Food Japan! I bought an item as a gift and it arrived very quickly. Fake Food Japan took a lot of time and care into checking in every step of the way to ensure that my experience was pleasant. 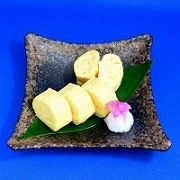 The item was perfect, just as described online and I have already recommended Fake Food Japan to a friend! Thank you for the wonderful service, I will be buying from you again. 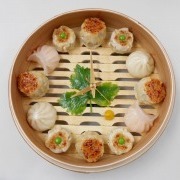 Depuis longtemps je cherchais ces imitations de plats cuisinés qu’on ne trouve qu’au Japon. Car, autrefois, les vitrines des restaurants asiatiques de Paris présentaient ainsi leurs menus et me faisaient rêver. Au hasard de requêtes sur l’Internet j’ai pu découvrir le site de Fake Food Japan. Choisir un plat a été délicat car leur catalogue est vaste… mais le résultat en vaut la peine. Un décor « kitsch » et original qui réjouit mes visiteurs ! I decided to buy from Fake Food Japan because of the design, price and convenient payment method that was offered. Once I received my items, I could see that the items were of great quality and the design was good as we saw on the website. In addition, proper packing protected the items well. 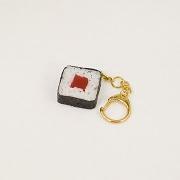 If you are looking for stylish, good quality and cute accessories, you should think about buying from Fake Food Japan. 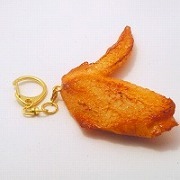 My friend loves chicken wings and came up with the idea of a keychain. I saw your one come up on Pinterest and thought it was hilarious. I couldn't find any others from the UK or any other retailers which I liked as much, so I thought I would go with you. It made me laugh. It looks just like the picture. 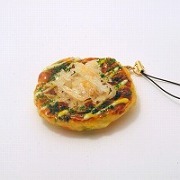 Anyone who likes novel unusual things should consider to buy from Fake Food Japan. The service was great and the package came much sooner than I thought so I would say anyone internationally should consider buying. I wanted to add fake food displays to my business in order to attract customers and leave them a lasting impression on the items we sell. I found Fake Food Japan online and noticed how realistic and beautifully crafted all their food items were and was impressed! I felt confident that if I ordered with Fake Food Japan, I will not be disappointed. When my items arrived, they looked so real! I was fascinated with the amount of detail that went into each item. The fake displays look so delicious that it makes you want to order that item on the menu! Anyone that owns a business in the food industry should consider purchasing these. They really attract customers and it makes them remember your business much more. I have clients that would touch the fake displays out of curiosity because they are impressed themselves on how real they look. It's that effective! Go get your fake food displays! Simply amazing! The CEO Justin was so helpful in every way and worked very diligently to make sure I got exactly what I needed and wanted. He made necessary adjustments and was very accommodating. I felt very appreciated as a customer and that what I needed was important to him. 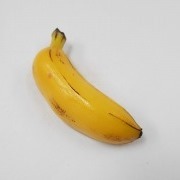 I was looking for a banana magnet to give to my husband for his birthday to replace a similar one he had lost last year. When I opened the package I felt very happy as the product was better than I imagined and also funny.....it made me smile! Quality and good communication from start to finish made this overseas (Australia) purchase stress free. 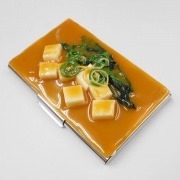 I was looking for something unique and eye catching and instantly found that on Fake Food Japan! When I first opened my package I was amazed at how realistic it looked. So well made!! 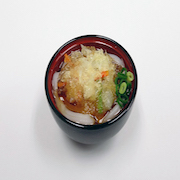 People who love Japanese food as much as I do will instantly fall in love with the products! 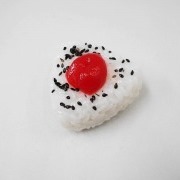 My attention was drawn to Fake Food Japan through a recent doodle by Google on the Internet. I had never heard of the company but after a quick search I found their website and was fascinated by their quirky, innovative products, and the wide range available. The fake food looked very real and I decided to order a couple of key rings to see if they were as good as the illustrations. They weren't as good. They were much better!! It is absolutely uncanny how lifelike they are. 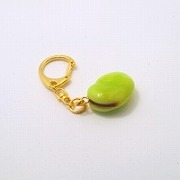 I was glad I had chosen the small" size for the key rings as they fit nicely into a purse without being too bulky. 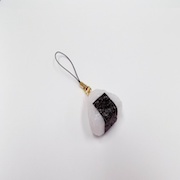 I would recommend them to anyone who appreciates the novelty of something a little different or as an unusual gift for ""the person who has everything"". On a score of 1 to 10 I would give them top marks for quality and inventiveness.”"
When I received the package, I felt extremely excited and I was filled with joy. When I opened the package, I was blown away with how perfect the keychain was. It was better than I could ever imagine. I will definitely be purchasing again! 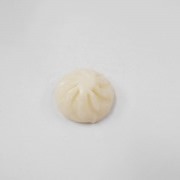 I love my dumpling phone stand so much because it looks like my favorite Chinese food ever! Cherchant des magnets originaux je suis tombé sur fake food proposant des magnets en forme de fausse nourriture réalistes pour des prix intéressants. Je recommande ce site pour ces prix intéressant et son sérieux. Le colis est arrivé très rapidement et très bien emballé. 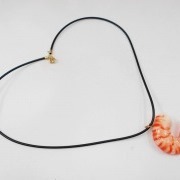 Je le recommande à ceux qui cherchent des accessoires originaux en forme d'aliments pour pas trop cher. I lived in Tokyo, Japan for about 5 years. I didn’t buy any of the food replicas and really wish I had. 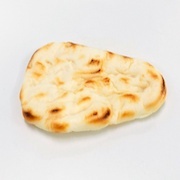 I found your web site by typing in the obvious: Fake Food Japan. How much clearer can you get? When I received my sushi key chain it was EXACTLY as I remember the real thing. It was a bit expensive, but sometimes you just have to buy and forget the cost. I highly recommend buying from this company if you truly love Japanese food and want to keep it forever. I decided to purchase items from Fake Food Japan after returning home from a recent trip to Japan. 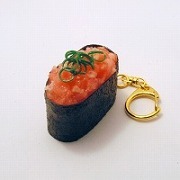 My partner expressed great interest in the fake food displays in Japan, so I thought having our very own fake food magnets and keychains would be a perfect gift idea! My order arrived very quickly and in excellent condition. The items are so realistic and beautiful. I am very happy with my purchase. Me and my girlfriend are HUGE fans of Japanese food. We go out and eat sushi all the time. When I came across your website, I thought it would be a great idea to get her something for her birthday. I went for tako nigiri (her favourite). The product looks great! I was almost convinced it was real. Would definitely order again, I think next time I'll get something for myself! I just returned from a recent trip to Japan with my dad and decided I wanted to buy him some fake food as a Christmas gift. I found your website and was impressed by the amount of positive reviews and with how simple the ordering and mailing process was. Especially with me living in the United States and the goods having to travel a far distance. Everything was delivered in perfect condition. In addition, I was thrilled to receive my package. I ordered several of the magnets and cannot believe how realistic they looked. This is a gift my dad is really going to treasure. I recommend ordering from Fake Food Japan because it is a quality product, clearly made with a lot of love and the customer service is impeccable. Justin was helpful, courteous and did a great job. I bought from Fake Food Japan because I hadn't seen anything similar in other shops. Plus shipping was fast so I was excited about that. As long as you continue to create new products and widen your product choice you're going to be unique. I was extremely pleased when I got my order from Fake Food Japan. 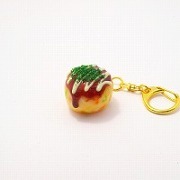 My pudding keychain looked amazing. In fact it looked good enough to eat. Size, quality, everything was exceptional. These make perfect gifts for food lovers. I would recommend Fake Food Japan without a doubt. My item looks fab. Fake Food Japan is perfect for anyone looking for a very original present for a friend who loves Japan. We love Japanese pudding and fake plastic food, so we were excited to see fake pudding items. The magnet and keychain we ordered arrived on time. We are very happy with the quality of the products. Growing up, I've always liked to look at the fake food displays in front of the restaurants when my parents and I went out to eat. Having a case I can carry around and look at any time I want is so much fun. I love the design and the quality is good. Thank you! 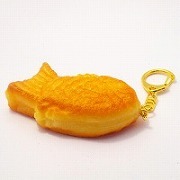 I ordered the taiyaki keychain. When I saw the package I was excited. The keychains looked really high quality on the website so I was just generally excited to see how it'd look in real life. The product I received is really nice and went above my expectations. I was searching online and came across your website – great product, reasonably priced and good communication. I was updated re where the item was/how it was progressing. When I received my package my item was nicely wrapped and well protected in bubble wrap. All I need to do now is wrap it or pop it in gift bag. I would recommend Fake Food Japan to my friends. J'ai acheté chez vous car j'ai trouvé les produits intéressants visuellement, variés et peu cher. Je m'attendais a recevoir mon colis plus tôt mais une fois reçu j'ai été satisfaite du produit, tout à fait conforme à la description. 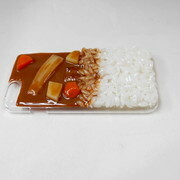 As a fan of unique Japanese products, I was looking for an iPhone cover that used plasticized food as an inspiration - and inspired it was! I ordered an “eel” cover, as well as one that celebrated ramen bowls - both were beautifully done, fit perfectly, and will be used on all of my food adventures. 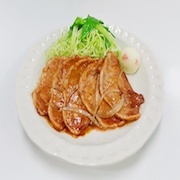 Fake Food Japan was professional and proactive - my package arrived as promised - it was well packed, secure, and when I saw the products inside, I knew I had made the right choice in ordering from this website. 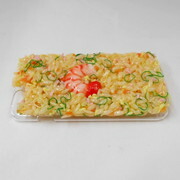 I will recommend Fake Food Japan to everyone who is inspired and envious of my great new iPhone covers - bravo to Fake Food Japan~! Je cherchais un cadeau original à offrir pour un anniversaire. J'ai trouvé le concept tellement amusant que j'ai commandé sur le site de Fake Food Japan. La qualité du produit est incroyable et on dirait de la vraie nourriture, c'est exceptionnel ! 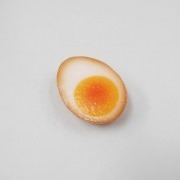 J'ai décidé d'acheter chez Fake Food Japan car je suis passionnée par la Fake Food, j'ai plusieurs objets Fake Food chez moi, et je voulais vraiment en avoir qui vienne du Japon. Le Japon étant le Pays de la Fake Food, il me fallait absolument un exemplaire Japonais! En regardant votre site internet j'ai trouvé vos produits vraiment superbes et très réalistes. J'ai beaucoup apprécié le fait que le site soit disponible en francais. Le colis était très bien protégé et bien emballé, il est arrivé rapidement, l'envoi était très soigné. Je l'ai ouvert avec joie, et je suis très contente de mon achat, c'est vraiment magnifique et le faux-plat de spaghetti décore désormais mon bureau. Je pense que toutes les personnes qui aiment ce genre d'objets, devrait commander chez vous! J'ai déjà hate de refaire une commande. 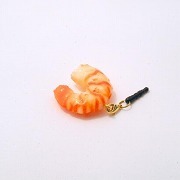 I chose to buy from Fake Food Japan because when I was thirteen I visited Tokyo and at a market I bought some food keychains, a tempura prawn and a sushi roll (from another business I believe). I had been wondering where I can get some of these from, so I did some research and found you guys. The shopping experience certainly lived up to my expectations. I swear I ordered it, closed my eyes, and then it was here. It was a nice surprise when it arrived. Very efficient in delivery, and very good the way Justin kept me up to date on the status of the product and package. 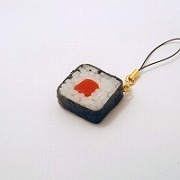 I believe that anyone who loves Japan or anyone who is after a unique gift should definitely shop at Fake Food Japan. 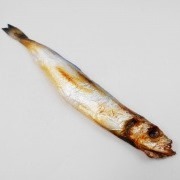 My father-in-law is always irritating his co-workers because he frequently brings sardines and crackers to eat in their break room. 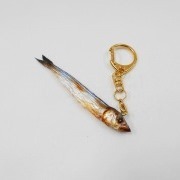 My husband and I decided that the really cool sardine keychain we saw on social media would be a perfect stocking-stuffer Christmas gift for him as he loves a great ongoing family joke. We were happy with the affordable price and incredibly fast shipping, and the keychain arrived in plenty of time for the holiday. My father-in-law was absolutely thrilled with the gift and put it on his keychain right away. He laughed about it all day and couldn't wait to take it to work to show it off. I decided to buy from Fake Food Japan because I had been looking for a quirky gift for a family member. I received my package 8 days from when I was emailed that it was posted (and much kudos for the great communication they provide! ), although it may have arrived earlier had it not been for my order being placed around the Easter holidays. I was surprised by the high quality of the product and just how realistic it looks (trust me, it doesn't just look good in the photos! ), the detail is incredible - so much so that it was obvious to me that so much effort, care and love has been put into their products. If you're looking for something to catch some eyes and/or to start a fun conversation, this is where you'll find it. 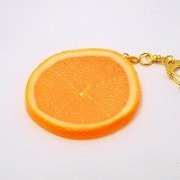 These products are top quality, fantastic quirky gifts and I can guarantee, will put a smile on anybody's face. My package arrived today. First, the items were packaged beautifully and arrived in immaculate condition. Once I opened the package my clips were found individually wrapped. I am so impressed with the care that was taken with my order. The four hair clips are just beautiful. I am thrilled with my purchase and shall be ordering again. I decided to purchase from Fake Food Japan because your website was very easy to navigate and I just loved all the products. I happen to work in a delicatessen, which has a fish section and I thought these items would be fun. I think these kinds of items would be a great talking point for customers, in addition to going well with restaurants, sushi bars, chefs, supermarket fish departments, delicatessens, food court employees, airport food services, and even as dress up accessories for children. I decided to purchase from Fake Food Japan because the website was well designed and you had an excellent range of products. Upon receiving said product I was amazed by the life-like design, and the quality feel of the product in hand. It also had an intriguing smell that I enjoyed. I would recommend this store to anyone who is after a fun gift, but also perhaps to businesses who benefit from displaying the foods they have on offer in their shop window. 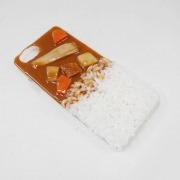 I've been wanting a phone case with Japanese food on it for the longest time and was looking everywhere in Japan for it. 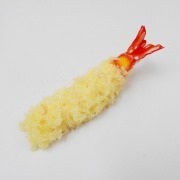 I came across the Fake Food Japan website and I was super impressed by the work. 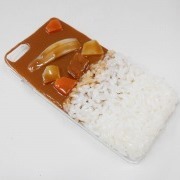 When I got the curry rice iPhone case, I was totally excited to use it. People have stopped me and asked where I got the case from and I always forward them to your website. 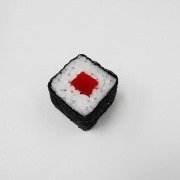 Lastly, anyone who loves Japanese food should buy from Fake Food Japan! I have been enamored with Japan's fake food displays since I learned about them over a decade ago, and always dreamed of owning my own pieces of this truly wonderful artwork. After moving to a new office I decided to find out if I could find any of these fake food items to display at my new desk, and immediately found Fake Food Japan. All of the items are true-to-live, and the quality is impeccable. Each item feels sturdy and is a joy to look at. Anyone with a sense of humor, a love of food, and an appreciation for craftsmanship would enjoy receiving a gift from Fake Food Japan. Thank you for making these fabulous items available to fake food fans around the world! 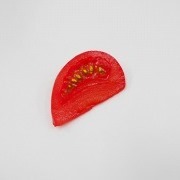 I googled a few websites that create wax food and fakefoodjapan.com had one of the most eye-catching portfolios; plus the response from Justin is fast. As for my item once received, it looks so real and even better than the actual product. There definitely will be more orders to come in the future from us. 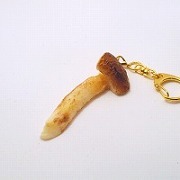 I was looking for a cool keychain for some little team gifts" and luckily I found the FFJ website. The package arrived sooner than expected and the items were a little bigger than I had anticipated but were super-realistic and detailed! 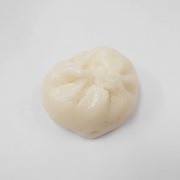 If you are looking to find some nice high-quality and unconventional gadgets for your friends I recommend FFJ as you can come away with some realistic and original stuff at a fair price!”"
The concept of fake food is so fascinating. It makes for a great present. It's simply original, beautiful and I can't think of a person who wouldn't like it. This is my second time ordering and I'm more than satisfied with the quality of the customer service and the products themselves. I bought from Fake Food Japan because they have a wide range of goods and designs inspired by the fake food tradition adapted in a funny way. When receiving the products looked very nice. I wasn't expecting that level of execution. Also the products are bigger than expected but that's for the best. I also felt very amused when opening my package. I recommend Fake Food Japan for people who want to spice up their daily life by replacing usually boring gadgets into more enjoyable ones. 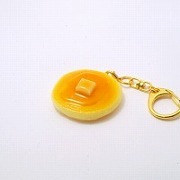 I've searched everywhere on the internet looking for my mother's old beloved pineapple slice key chain from the 70s for her Memorial celebration. I found and despite it being in Japan, the service was fast. The company gave personal attention and were friendly. Thank you for such wonderful service and reasonable prices. It looked exactly how I remembered - sturdy and it really looks real. I aired it out on my deck like they suggested as it was made to order from the factory. Anyone looking for that extra touch unique gift will be happy. I decided to buy from Fake Food Japan because of the great quality look of their products. Their website is easy to use and the pictures are clear/accurate. Their customer service was exceptional and they kept me up-to-date on my order status with helpful communication throughout the process. I chose Fake Food Japan because I saw that I could have a custom design. I was easily able to communicate what I exactly wanted and email responses were always friendly and prompt. When I received my case it was great, even better in person! I totally recommend this to anyone who enjoys Japanese display food or wants to have something truly unique. Incredibly realistic and look amazing on the desk top. Memories of Japan and hungry at the same time. The kids still think its real food. Perfect presents! I visit Japan regularly every year and always bring many replica foods with me home to Europe. For a long time, I have been looking for an English-speaking Japan-based web store to order life-size replica models. Fake Food Japan ticked all the boxes. First, the care and the amount of extra bubble-wrap to safeguard the models was very impressive. 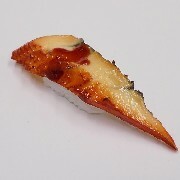 Second, the quality of the food models were as eye-catching as I would imagine from the photos on the website. I decided to buy as your products were the most realistic looking and also there was such a range of things to choose from. 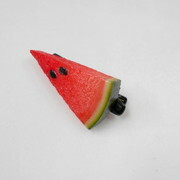 I was initially looking for a watermelon magnet, however there were so many more things which appealed to me. When my well-packaged items arrived, I was so happy with how quickly they got here. I could have busted many nuts but kept it real. Upon unwrapping I was also very pleased at the care taken in order to preserve the safety of my items i.e. bubble wrap. As for who should consider buying, hmm..., I would say all age groups, but especially those people who missed their opportunity while visiting Japan to pick up some authentic fake food. As one example, I picked up a maguro magnet from Don Quijote but as the range was limited Fake Food Japan gave me a second chance to funk up my fridge. And of course, fridge magnet connoisseurs obviously will have the time of their life browsing through the wide variety of stunningly beautiful pieces of fake food. Fake Food Japan has great and friendly customer service, and the items look stunning. They feel very firm and my items got shipped in no time. I'm very happy with the items I bought, and will surely buy again. 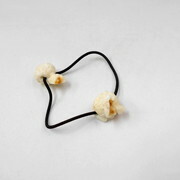 I really like food and hair accessories, so I absolutely love food which I can put in my hair. Recently I saw an image of an anime girl with takoyaki in her hair, so I decided to look it up. Soon I ended up on your website. I felt very happy and excited. My friend also got me some items from your site, so i was thrilled to try them all out. The items looked exactly as the pictures, look very realistic and feel firm. As for who would like Fake Food Japan, people who don't want their food just for noms. Fake Food Japan has very unique items befitting for every food lover. It was very easy to find your web site, which was clear, explicit and lead me directly to what I was looking for. The communication with you was fluent, clear and very informative. You met my expectations to my complete satisfaction. The product is of high quality and looks amazing as a decorative object on my table. I would gladly recommend you as a top supplier. I decided to buy from Fake Food Japan as soon as i saw the amazing products they had to offer. The quality looked outstanding and as soon as i received my package in the mail I was absolutely amazed at how good they looked and felt. 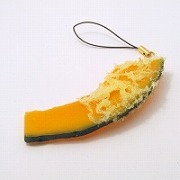 Anyone who is looking for a good gift, or just something quirky and cool, I'd highly recommend purchasing from Fake Food Japan. I was very happy with my purchase. My package arrived quicker then expected and my items all look great. Very realistic. And I like the fact they are sort of soft as they don't scratch my keys. I'll probably get some more after the new year. I like miniature food, and Fake Food Japan's items looked very real and seemed to be very high quality, so I decided to order from them. Customer service was very friendly and the shipping was very fast. I was very happy when the item arrived, it looks so real and well-made. It's been days since I received it but I still like to stare at it because it looks and feels so nice. 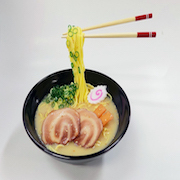 Overall, the experience has been very positive, and with so many products to choose from (and even an option to make customized fake food), I can recommend Fake Food Japan to everyone. 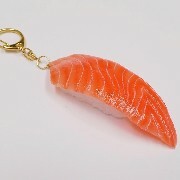 I decided to buy from Fake Food Japan because I had a specific item (an orange keychain) in mind and Fake Food Japan had exactly what I wanted, and even better. I couldn’t believe how realistic their products look! My package came so fast; it only took about a week (I did only purchase one small keychain). The fake food looked incredibly realistic and I didn’t even expect it to look THAT good! I was super happy and I knew the person I was giving it too would love it. It was perfect! 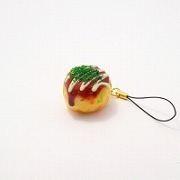 Anyone who has a fake food item in mind should definitely buy from Fake Food Japan or at the very least check it out! Fake Food Japan’s products are incredibly realistic and high quality; anyone who buys from them will be pleased! I decided to purchase a fake food phone case for my brother as a Christmas gift, and there were so many choices to choose from. It may have taken a little bit of time to arrive but I was really excited for it to come! 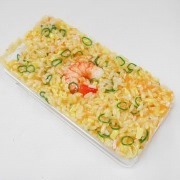 My brother loved the case and it looks just like the food we picked out (rice with walleye roe). Really anyone who likes being unique and having something that not many others have should buy their own. It also makes a good gift as it’s just a completely unique and different thing to get; no one would expect it! 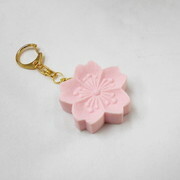 I bought the sakura flower and the rice ball key chain. Both are super cute and would buy again. 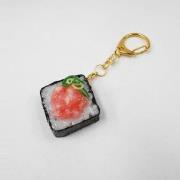 Most likely the sushi key chain next time. My package came pretty fast. I'd say within 2 and a half weeks or so. The items presented on the website were authentic and realistic and looked to be of a very high quality. The parcel was well wrapped and I was excited to see the items were even better than I had expected after opening. 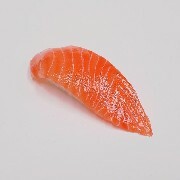 Anyone who has an appreciation for good quality and good value products should consider buying from Fake Food Japan. I loved the realistic detail in all of the magnets. 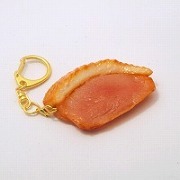 I ordered two keychains from Fake Food Japan as Christmas gifts. I happened across the website and found it to be so charming; I showed it to all my friends! From purchase to delivery, Justin kept in constant contact with me to let me know they had received my order, when it was shipped, and when it was expected to be delivered. 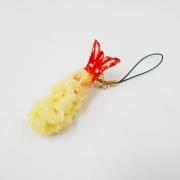 The products seem to be very high quality and were much loved by the people who received them as gifts. I would highly recommend ordering from Fake Food Japan! Great site, great products, great customer service. 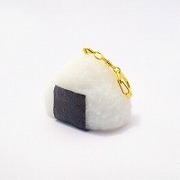 I was looking for a fun gift for my fiancé and decided to look for an onigiri related accessory when I happened upon Fake Food Japan. I was so happy because out of all the websites I had looked at, this one had everything I was looking for in this gift. 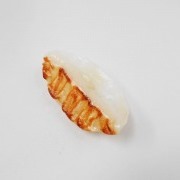 A cool representation of an onigiri that was quality but also reasonably priced. While waiting for the package, I was also pleasantly surprised to receive updates from customer service about the progress of my hand-made item. Upon receiving the package, I was even more surprised! I was so excited to see the attention to detail! I was also happy that the materials used seemed to be very sturdy, and that they would last a long time. This was great as some other keychains my fiancé has had (not from this site) in the past have broken within a week of use. I would definitely recommend this company to anyone looking for a fun gift for someone or to anyone who wants a unique way to accessorize for a reasonable price with quality products! They have many different types of items and many different foods! I've got to get it!. When I opened my package it was phenomenal. 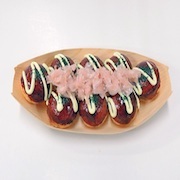 The fake takoyaki looked so real; I almost took a bite out of it. I was so pleased with what I saw and so was my brother. I would consider this site to those that are looking for a super cool present for their brother sister mom dad grandpa grandma girlfriend boyfriend aunt uncle coworker or heck even your boss. Trust me they'll love it. I too am considering this for myself. There is nothing better than to have a beautiful piece of art/food to own in your home. Great job Justin I was speechless. I've got to get it!". When I opened my package"
I was looking for a cell phone charm and first attempted to buy through a third-party Amazon seller. 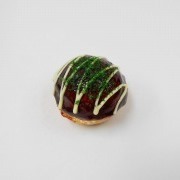 They had issues processing the order, communicating with me, and ultimately cancelled my order saying the item was no longer in production despite being advertised and attempting to take my money.​ This is when I turned to Fake Food Japan. I found what I was looking for quickly and checkout was simple. Upon placing my order I was almost immediately contacted through email by their team to notify me of approximate production times and how long it would take to ship. Throughout the whole process they were professional and informative answering any questions I had. When I opened my package I was extremely pleased with what I had ordered as it was exactly as their website and team had told me it would be. 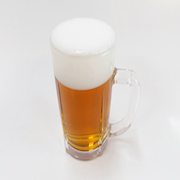 Anybody looking for hyper-realistic items for home or business should consider buying from Fake Food Japan as they are professional and helpful from start to finish. 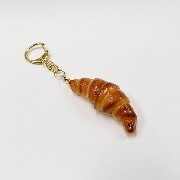 I bought another fake food keychain as a gift for my friend on my last trip to Japan and it was a great gift. I’ve searched on the web for something similar, however the quality didn't look that good. After I saw your website (Fake Food Japan) I decided to give it a try. I love the keychain. The quality is great. It looked better than I expected and it’s not like something cheap. If anyone is looking for good quality products and something special, I would really recommend Fake Food Japan's products because they are totally worth it. I discovered Fake Food Japan on a YouTube video explaining about the Japanese culture of displaying food replicas so customers could see them before ordering. I looked through the website for a bit and knew I had to buy something for me and my family! It was irresistible!! The package arrived really fast considering the distance and the price of shipping. Everything was intact and I was super excited to have received my items. You can tell they’re made by hand with love! 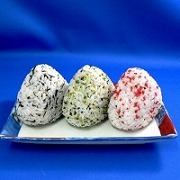 Everyone should consider buying from Fake Food Japan since it makes a lovely gift for any food lover. FFJ had the best selection for our food type (pancakes) and were the most like our actual product when served. They were the most responsive of the companies we contacted for quotes and information, and had a good/very reasonable turn around time for stock. Once our products were received, we were excited and very happy with the quality. In fact the quality was far better than I had anticipated, and they were all packaged so safely and securely – all expectations were exceeded. As for who I'd recommend FFJ to, honestly anyone. Businesses for promotion of their products and use as promotional products, but also individuals – there are so many fun ideas on the FFJ website, I am looking at purchasing various foods for fun presents and entertainment! I first discovered Fake Food Japan after getting an email about the website from my Japanese professor. After looking through the products I had to remind myself that they were fake, they look so good that I wouldn't trust myself not to try and take a bite out of everything! 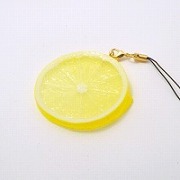 I was really happy with my order, lemons are my favorite fruit in terms of aesthetics, and this is such a well made product that my stepmom thought it was real! I'd definitely give Fake Food Japan 5 stars for the quality of the products along with the outstanding service. I'd recommend this to anyone that likes food or aesthetics and to any restaurant that wants to catch the eyes of hungry customers. Thanks for an excellent fake dessert with kiwi, peaches, mandarin oranges, ice etc. We received it yesterday at the Science Centre in Trondheim Norway. 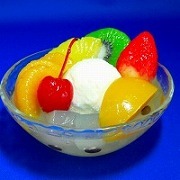 It was a delicious bowl with fruit and ice cream. 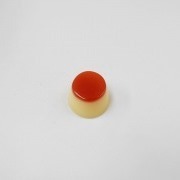 We choose this particular item because of the colors and that it was possible for Norwegian people to recognize the individual ingredient. 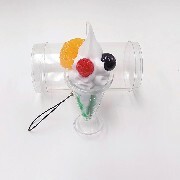 We are going to use the dessert in our new exhibition with the topic being colored light. We will let the visitors experiment with colored light, and see how well they can recognize​ the fruit and ice. After Easter we will do experiments with colored light to see how well it works. We found Fake Food Japan via the Internet and liked the products we found​. Thanks again for an excellent fake product. 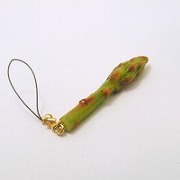 I was looking for small gifts to give to some friends after a weekend away together. I was searching for items to remind us of a particular meal we had all shared. 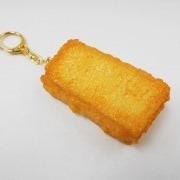 I came across the website for Fake Food Japan and immediately found what I wanted – the tofu key ring! 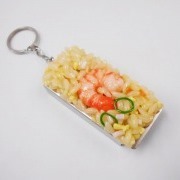 I was so happy when the very well packaged six key rings arrived only a couple of weeks later – they were perfect. I have since bought other items for family and friends and of course myself; I couldn’t be happier. 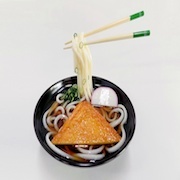 If you are looking for a quirky and/or personalised gift, Fake Food Japan will certainly have what you’re looking for – even if you didn’t know you were looking for it. All of the items I ordered were received by me safely. They are really wonderful and have perfect quality. The items were also packed appropriately. I was able to receive my package after about one week (Osaka - Berlin). Placing my order was easy and I was kept up-to-date on the status of my order, which I'm very thankful for. In the future I will buy more from Fake Food Japan. 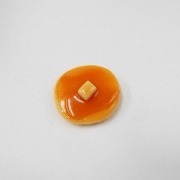 Je suis pleinement satisfait de mon achat sur Fake Food Japan, rien à dire depuis la commande jusqu'à la réception : le produit est conforme, l'emballage de très bonne qualité et j'ai été informé du suivi de mon colis régulièrement. Je recommande à tous les amoureux du japon et aux visiteurs occasionnels. 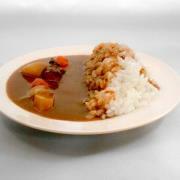 I am fully satisfied after receiving my items ordered from Fake Food Japan. Everything was perfect from order to delivery. This is a serious online shop working hard for the customer. I highly recommend! 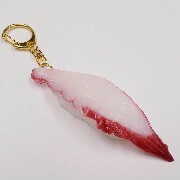 When I was in Kyoto last Christmas, I saw some food keychains while walking around Nishiki Market but I couldn't find any I liked. So I looked online and bought from Fake Food Japan and was super happy with the quality and price. 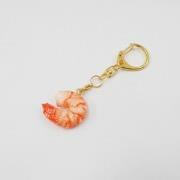 Would definitely buy from again and recommend to any foodie keychain enthusiast. 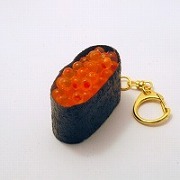 I found fakefoodjapan.com through Reddit and thought it would make a very unique gift for my wife and I was right. 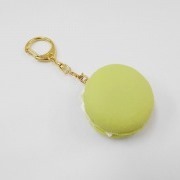 I ordered a macaron keychain for her and we were both very impressed by its level of accuracy and detail. It took a little longer to get to me than expected but that is understandable when ordering something internationally. The customer service was excellent as well, letting us know when it was shipped and checking in on our order. Overall, this was a very unique gift, the craftsmanship is exquisite and customer service was great. 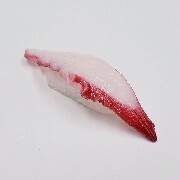 I would rate it 10/10 and buy from fakefoodjapan.com again. 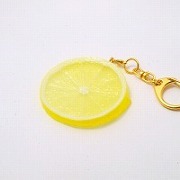 I bought a fake lemon keychain previously in Tokyo and I wanted another one. I’ve found your web site looking for Japanese fake food on the Internet. After receiving my item, I noticed that it was very well made. Thank you. I chose Fake Food Japan because of the quality of the products. Every little detail has been carefully taken care of to make it look like real food. I can’t believe my crepes look exactly as the pictures I sent to them. Besides the product, service was great! Justin was always in touch with everything regarding my order. 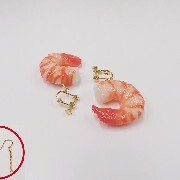 I decided to buy my earrings from Fake Food Japan because of the variety of products they had available. I was completely blown away when I received my order...the level of detail and skill displayed far exceeds the pictures on the website. They are truly works of art! I have bought fake food on previous holidays in Osaka, but this product is at a whole new standard of quality. I can't wait to buy more! 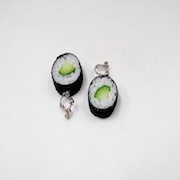 They would make excellent gift for lovers of all things Japanese. And their custom made option provides the create your own keepsake of a special cake or drink. 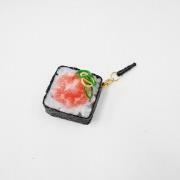 I decided to buy a sushi phone jack on Fake Food Japan after seeing some in Japan but I wasn't sure if I should buy one. After my return to my hometown I regretted my decision, so I ordered one in June of 2018. The delivery was fast (less than two weeks) even with the cheapest delivery option. 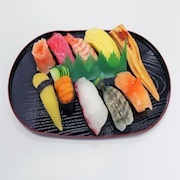 I was very happy after I opened the package; the product looks really realistic and gives you the desire to go out and have some sushi immediately. 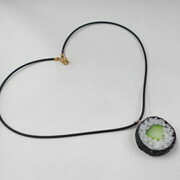 I recommend this shop to anybody who's looking for an unconventional gift for a sushi lover. You can find really funky stuff here. 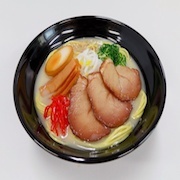 When I had placed my order on Fake Food Japan I was hoping for the item to be close to the depiction on the website - they do not do them justice! These are made by hand and it shows in the quality - the texture and colouring is perfect! Thank you so much Fake Food Japan! 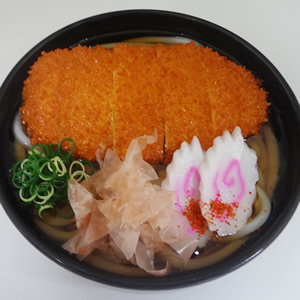 After doing a vast amount of research, the quality of Fake Food Japan compared to any other fake food seller online was notably superior, therefore I decided to use Fake Food Japan for my business needs. The quality of the presentation will be what speaks to the customer at my business, giving the customer more confidence in my product. Receiving the parcel in the mail I was very very happy with the extra care taken to make sure there was no issues with safety in transport. Unwrapping the food I found that there is so much more detail than even the website images capture. I was so happy! I will definitely be ordering from Fake Food Japan again and will be recommending them to anyone who asks. Thank you Fake Food Japan! 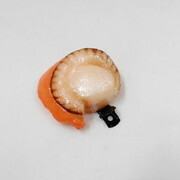 I decided to buy from Fake Food Japan because your website was in English, the photos were clear and it looked reliable. Your service was good and friendly. 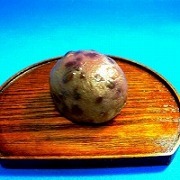 If you like to buy sampuru but don't have the time to go to Japan, visit Fake Food Japan online. 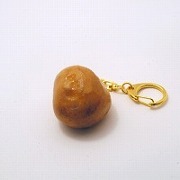 I have travelled to Japan in the past and previously purchased a fake food keyring and it's been a constant compliment generator from the day I put it on my keys. A recent one of mine broke and I knew exactly what I wanted. I searched the web and found Justin's business, I had a look through the website and saw that it was a super great price for what looked like incredible detailed craftsmanship! The shipping was also super affordable and the range of products were fantastic. 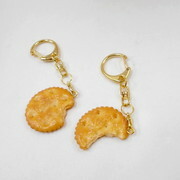 It was a really hard choice but I settled with the cracker keychain. Ordering via the online store is very easy to navigate. The hardest part is choosing what product you are going to settle for! When I opened the package I realised I made the perfect decision in terms of my order. The cracker looked and felt incredibly real and both myself and lots of my friends still think every now and then that there is a random Jatz cracker on the seat or table. I'm super super happy with my product and definitely will order again from Fake Food Japan. 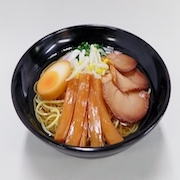 Anyone from artists, to businesses to general members of the public who are looking at buying a fake food product should consider Fake Food Japan. Not only are the products fantastic and well made but the customer service is exceptional. The shipping is super fast and the packaging and quality of the product is outstanding. 1. Pourquoi avez-vous décidé d’acheter chez nous ? Livraison en France et bon rapport qualité prix. 2. Lorsque vous avez reçu votre colis par courrier et que vous votre commande, qu’avez-vous ressenti ? Bien emballé, livraison rapide et produit équivalent à ceux acheté au Japon. 3. Qui devrait penser à acheter chez nous ? Professionnel ou particulier pour faire des cadeaux . 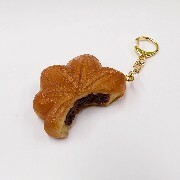 I decided to buy from Fake Food Japan because I wanted to buy fake food keychains, but didn't know where to buy some so a quick search lead me to the website. I was very interested as soon as I saw the wide variety of food items for sale! When I received the package and saw it, I was amazed -- the fake food looked very accurate to the real thing. 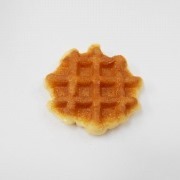 I would highly recommend buying from Fake Food Japan if you want to show your love for food, or know someone that wants to (it would make a great gift too). 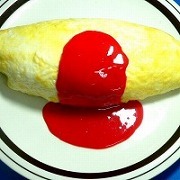 After spending many a long night perusing Google for the perfect sampuru I happened upon an image of your omurice. My mouth instantly started to water as I recalled the same dish I'd eaten only weeks before when I was traveling in Japan. My package arrived so swiftly that I assumed it was something less exciting and set it aside. My two year old niece opened the package and due to the highly realistic nature of your product, asked if she could have some of my ice cream. 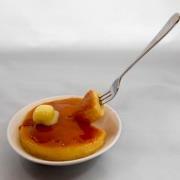 Anyone with an interest in sampuru, food photography, food styling or food marketing should consider buying from you. In fact, your product looks so realisitic that it would even be a great item for a practical joker or "prankster" to have in their inventory. They could trick their loved ones into thinking a delicious Japanese meal had been prepared for them, only to realise it was actually sampuru! I recently visited Osaka and came across your products in person and just loved them. 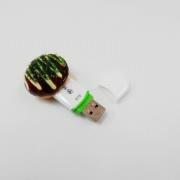 I think it’s so cool that you guys offer multiple types of products from USB flash drives to magnets and not just food display items for restaurants as it makes it a lot more fun for other buyers. I got my package quick and everything was perfectly intact. Each piece looks so real it made me hungry while unwrapping them. I’ll definitely be buying from Fake Food Japan again to add to my collection. I chose to buy from Fake Food Japan because the products all looked high quality and were a reasonable price. When I received my package in the mail and I saw my gyoza magnet with my own eyes I was so pleased - it looks so real! It was a pleasure to deal with Fake Food Japan. Communication was easy and professional. Would totally recommend them! 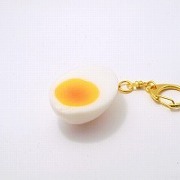 I decided to buy from Fake Food Japan because I've bought key chains from you in the past and they've always been exactly what I wanted and look more real than any other ones I've seen. I'll be a buyer for life. When I received my package and opened it up, I was overjoyed. It was everything I expected and more. It looked exactly like the picture on the website. 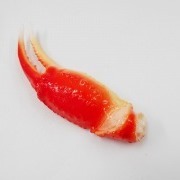 I feel like everyone and anyone should consider buying from you if they're looking for something that looks like real food, is good quality, and is obsessed with Japanese culture like I am. 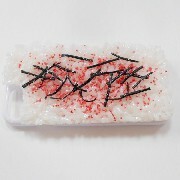 After a week of consideration, I decided to purchase the Umeboshi Rice iPhone case. It was a very hard decision because I fell in love with many of the products but I felt as if this one fit my personal aesthetic perfectly. I was overjoyed when I received my package in the mail. The case was packaged very well and safely as there was no damage done to the case even over such a long shipping distance. The case did have a distinct smell but I was warned about it prior so it was nothing to worry about, even after a day the smell is already fading. Anyone who is looking to have a statement piece or is a lover of realistic fake food, such as myself, should surely pick up an item from this shop. My friends and family are in awe at how realistic and unique my phone case is and that I purchased it at such an affordable price. I know that I personally will be picking up something again in the future for myself and even my friends and family. 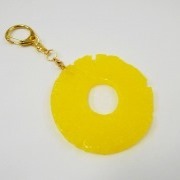 I decided to buy a banana keyring for my partner (who loves JAPAN) because on our first date I slipped on one. The keyring arrived quickly in lovely packing and the reaction upon presenting the gift was priceless. Fake Food Japan is truly original. 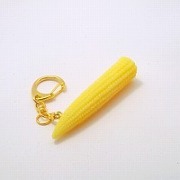 With real charm and craft, the banana keyring was a winner. 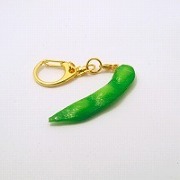 I bought two small cellphone charms as gifts for family members. I decided to buy from Fake Food Japan because they make unique products that I am unable to find anywhere else. 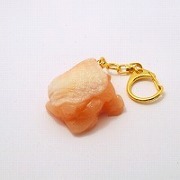 When I received my package in the mail, I was very pleased with the quality of the charms and how lifelike they looked! I would recommend this company to anyone who loves food or the whimsical beauty of elaborate Japanese fake food displays and wants to carry a piece of it around with them! I visited Japan last summer and I liked so much the fake food in the restaurants. I wanted some of these pieces for my house. At first I tried to search in major e-commerce sites like eBay or Etsy, but there were only few items and very very expensive. 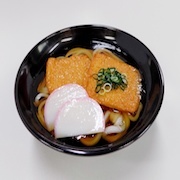 Then I used Google directly and it took me to Fake Food Japan. There were many different items and the prices were good. Making the order was easy as the online store had the choice to select English language and accepted PayPal. The shipping was faster than expected. It took 8 days to arrive to me in Spain. 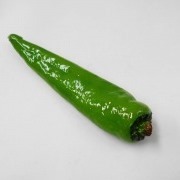 I really like the product as it has good quality and looks very realistic. I think these items can be valid not only for ornament, but for restaurants too. I highly recommend this shop. I decided to buy from Fake Food Japan after finding the great website on Google. Although I had ordered rather late for Christmas, every effort was made to ship the items in time to be received in the UK before Christmas, including some professional and friendly communications with Justin at Fake Food Japan. I received my order in plenty of time and am over the moon with the packaging and products. They are fantastic and cannot be purchased at this quality in the UK. I would wholeheartedly recommend purchasing from this company. My granddaughter found your website and asked if I could purchase a few items as part of her birthday gifts. She selected the items and I ordered. The first was returned because of a shipping technicality. Justin contacted me and immediately reshipped the original item and I then ordered another. Both arrived promptly and my granddaughter is very pleased. The look and quality of the products are excellent, as is the customer service as Justin kept me informed from the initial order to shipping. I would recommend this online store to anyone interested in fake food. Thank you Fake Food Japan. I absolutely love my iPhone case! My wife loves your products and has a small collection of them. She is always looking to see what is new. Thank you for taking good care of your customers. 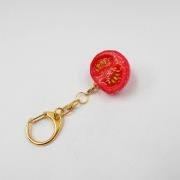 As for who should consider buying, anyone who has an interest in Japanese culture. J’ai décidé d’acheter chez vous, car j’avais déjà acheté un premier porte-clé chez vous, que j’aimais beaucoup, mais qui a fini par se casser à force d’usage. J’avais connu votre site par Internet, et le rendu réaliste des produits, ainsi que l’espèce d’humour propre à ces derniers, m’avaient attirée. 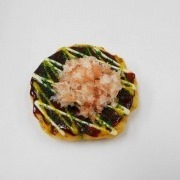 Je savais par l’un de mes fils, qui a vécu quelque temps au Japon, que le Japon est maître de l’art du fakefood. Et j’ai lu La Cantine japonaise de Yarô Abe. Le délai de réception est long, mais lorsque j’ai reçu mon colis ce matin, je me suis trouvée toute contente, et je me suis empressée de transférer es clés de la maison sur le nouveau porte-clé. Je serai fière de montrer ce porte-clé original à mes amis dans les jours prochains. Ce sont des artistes et des personnes qui ont le goût de l’humour et des produits originaux qui devraient acheter chez vous. I decided to buy from Fake Food Japan because your products looked realistic and high quality. Upon seeing the product, I was pleased that I had purchased a replica of such detail and high quality. I will definitely consider buying from Fake Food Japan again. I decided to buy from Fake Food Japan because I visited a fake food store in Osaka and after returning home, I realized I should have bought something. When I received the package in the mail I was super excited to open it and immediately used the key chain I purchased. 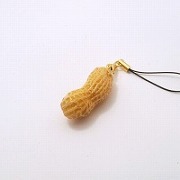 I was also sure to show all of my co-workers the adorable key chain I ordered. As for who would be an ideal customer, I would have to say foodies ... so when they look at their fake food they can remember the feeling it gave them when they had the real deal. Thank you, love the item. Would thoroughly recommend to anyone who loves Japan and all things Japanese as much as I do. After searching the internet for properly made and presentable fake food products, I decided to purchase from Fake Food Japan. Trusting the attention to detail of a product made in Japan, I was not disappointed. The product was exactly as described and the quality of the make exceeded my expectations. Fast shipping, and professional service. I was delighted by the high quality when we opened the package. 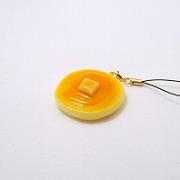 These Keitai (dangles / charms) look incredibly real. Cool art that is so very Japanese and simply fun. My experience with "Fake Food Japan" has been absolutely fantastic. My wife loves noodles, almost to the point of obsession, they are her favorite food. And I was searching for the perfect Valentine's Day gift. Having been to Asia on trips I was aware of the use of fake food items in restaurants and in shops. 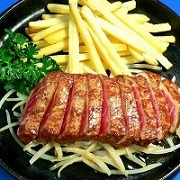 After researching on the web, I came across "Fake Food Japan". I ordered the Tonkotsu (Pork Bone) Ramen Smartphone Stand. When my wife opened the package, she was absolutely amazed!! She said it was one of the best gifts she had ever gotten as it was so thoughtful [remember she has an obsession about noodles], and the quality and workmanship were excellent. The details are incredible. Their service is also personal and very attentive. CEO and Founder, Justin D. Hanus was in constant contact with us via email until our item arrived and he made sure we were satisfied. 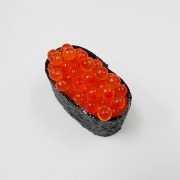 I would recommend "Fake Food Japan" without reservation to anyone who is looking for a unique, high quality gift. 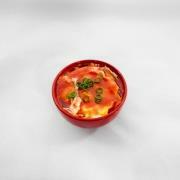 When I saw the Fake Food Japan website, I was very impressed how the food looked so real. Also, I read the reviews and they were excellent. I got so excited when I saw my products and straightway I shared photos with my friends through Facebook messenger commenting "guys, look at how amazing this company is at creating replicas". 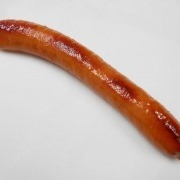 As for who should consider buying from Fake Food Japan, anyone in the food truck/food van business for sure. We did extensive research to find the right company to create our custom drinks. 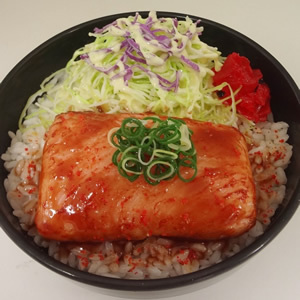 We decide to go with Fake Food Japan because of the incredible real look of all their items in their site's catalog, the impressive reviews and after all, in Japan this industry was born many years ago. Since day one, communication was perfect as Justin responds and helps to all your requests very fast and in a super professional fashion. He sent us pictures and updates as the job was in progress. At the end we received our products very quick and safely. First impressions when we saw them? Wow! Unbelievable! Just like the real thing! Perfect attention to detail! 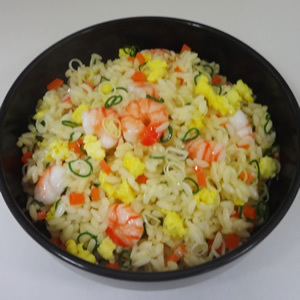 If you are in need of promotional replicas of your dishes in the hospitality industry, do not waste your time searching anymore, send an email to Justin and get the best food replicas from Fake Food Japan. You won't regret it. 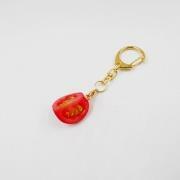 I had originally bought fake food keychains for souvenirs for friends and family at Tokyu Hands in Japan. I found Fake Food Japan through Google and I believe these are the same product. 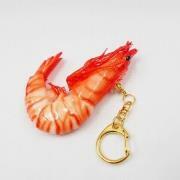 I ordered this keychain directly from you and gave it as another gift. 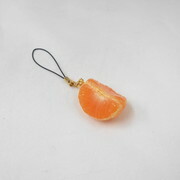 I was impressed by the realism, charm, and handcrafted quality of the product. The surface texture is very nicely rendered. 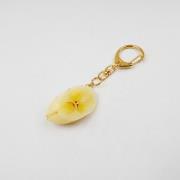 The cut portion of the keychain appears to have a printed graphic of the banana endocarp/seeds which I think could be improved by a textural or 3D treatment of the surface, however I realize this may increase cost. The history of fake food makes a great gift for anyone interested in local craft and Japanese culture, as these are not available in the United States. Although fake food is not common in restaurants in the United States, I have seen these products used in art installations and retail store displays to an outstanding effect. I decided to buy from Fake Food Japan because it was the first fake food specific website that I found. I’ve been a fan of this specific kind of fake food since I lived in Osaka in 2007, and recently I found myself wanting to own some fake food. 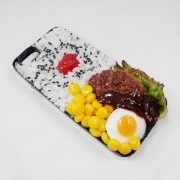 I was previously just searching for it on eBay, but when I decided to upgrade my original fried egg and bacon cell phone case my search led me to Fake Food Japan. 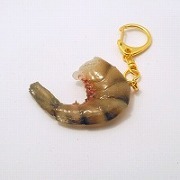 When I opened the package and saw the shrimp earrings I thought they looked even better than I had imagined. They were also bigger than I had hoped, in a good way! It makes them so much easier for other people to enjoy from afar! I think anyone who enjoys replicas or even just people who have a bit of a silly side would enjoy buying from Fake Food Japan! 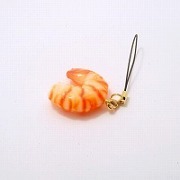 My next plan is to buy a deep fried shrimp magnet to turn into a lapel pin! Aloha From Hawaii! Our cafe decided on Fake Food Japan due to needing a professional display of our food. The detail, presentation and variety of Fake Food Japan is what ultimately made us go with them. The design and order process was smooth and so easy! When our items arrived, we could hardly contain ourselves at how amazing they were. I mean, I actually thought it was the real thing! That's how realistic they were! We were so amazed and really taken back at how well the items were made. We are absolutely ordering from Fake Food Japan again and again and again. If you have a restaurant, cafe, food truck or just want to amaze your customers and potential customers with amazing displays... this is the company for you! This was nothing short of a 5 star, 100%, 2 thumbs up experience.